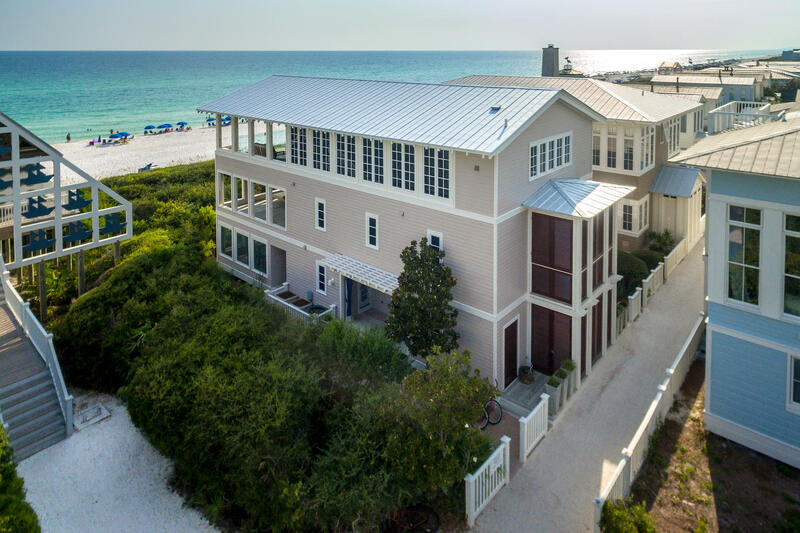 Custom one-of-a-kind and stunning do not come close to describing this Seaside Gulf front home that is truly ''Outside of the Box''. 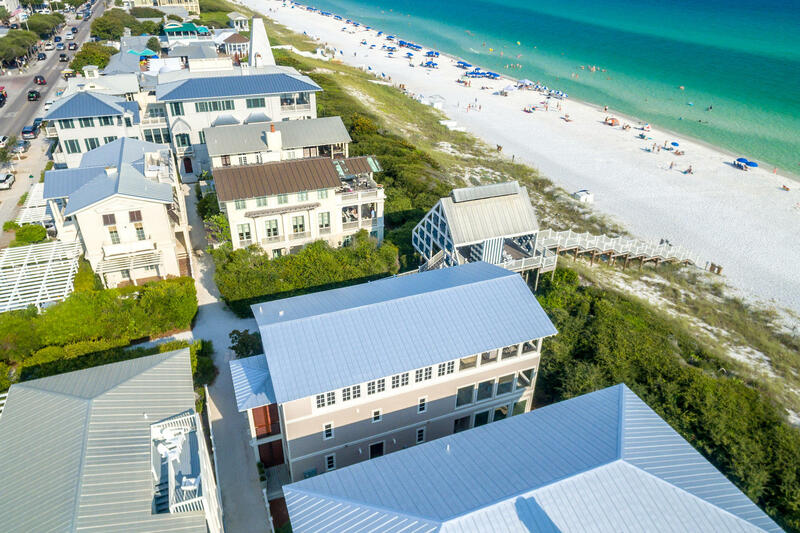 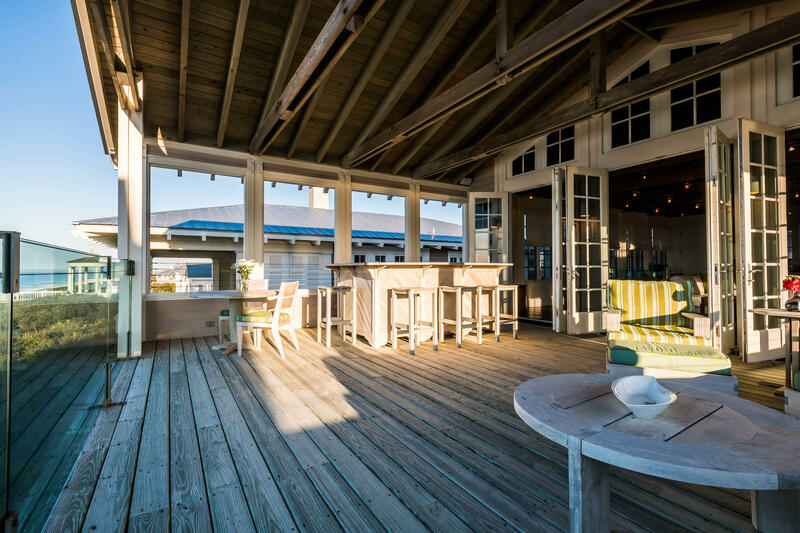 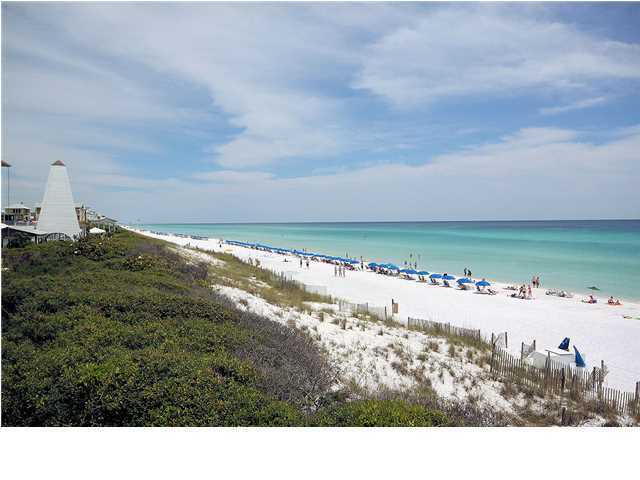 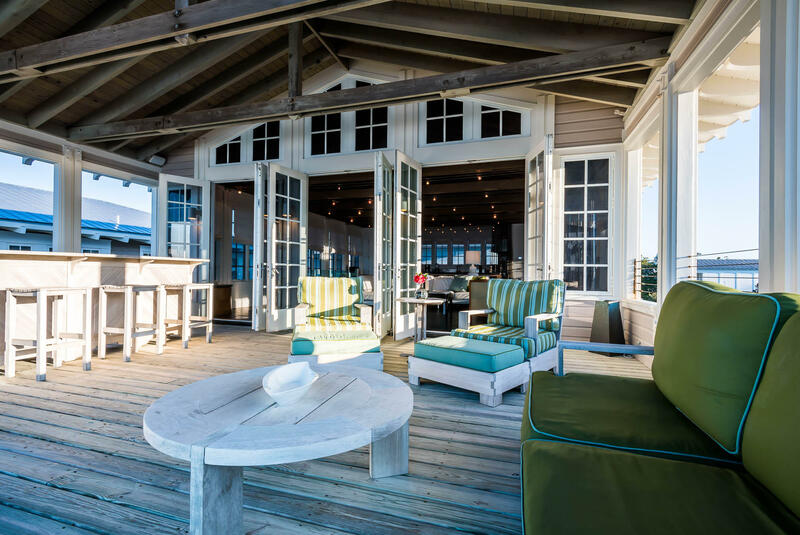 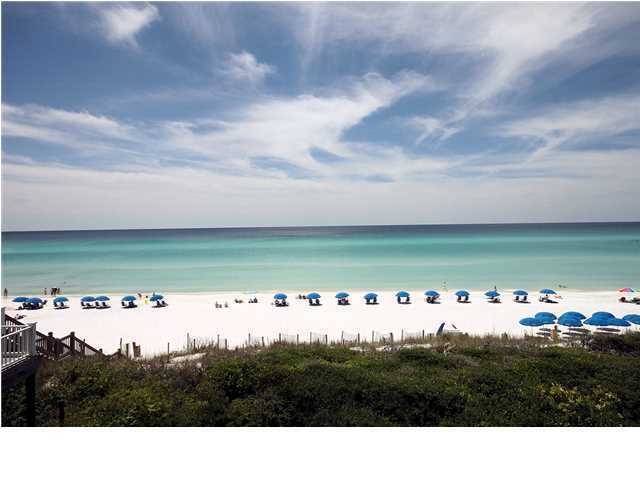 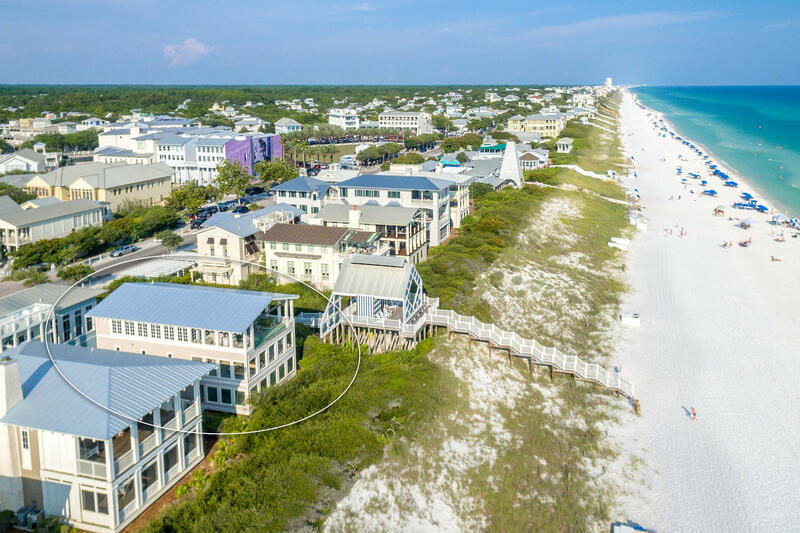 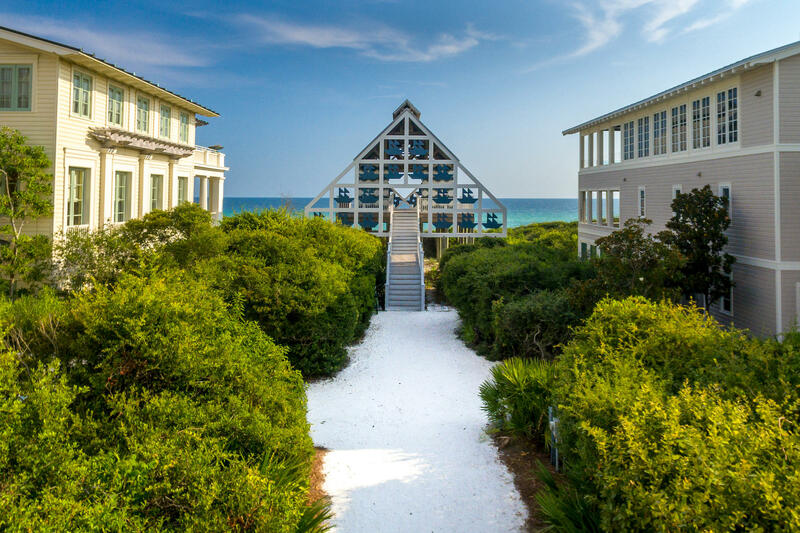 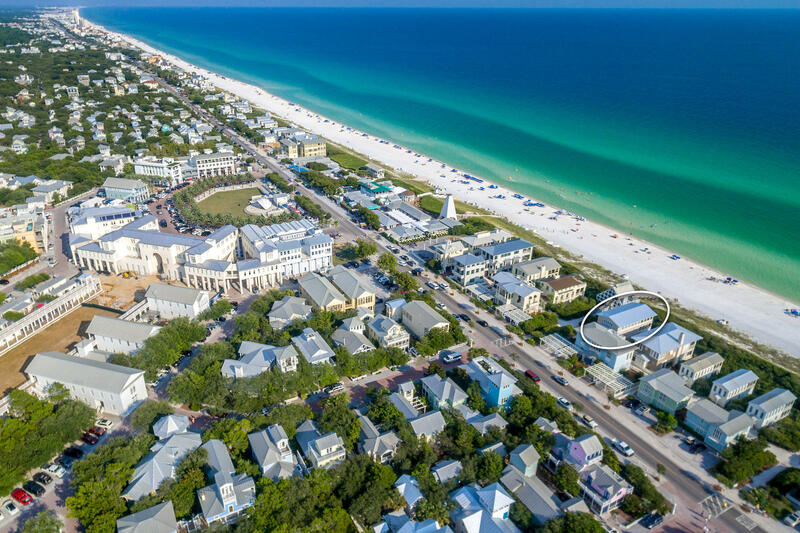 Located on the gulf in Seaside, where New Urbanism was founded, one can enjoy luxury while easily walking to Seaside town center. 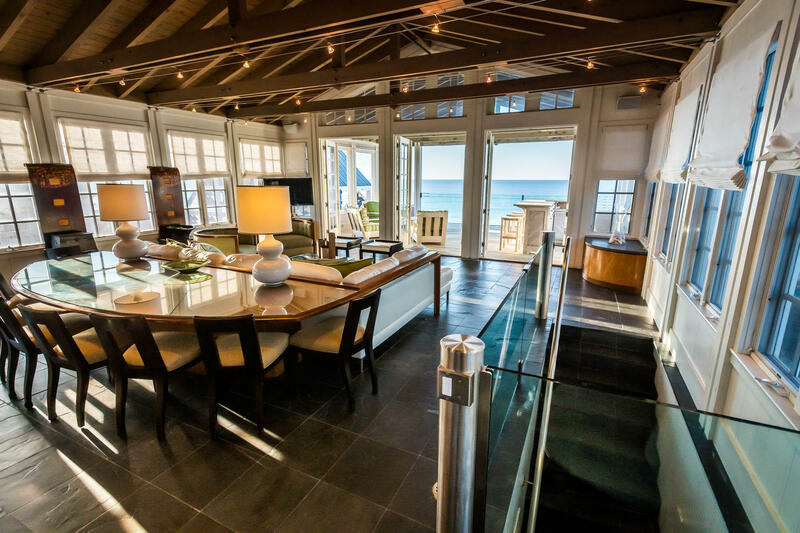 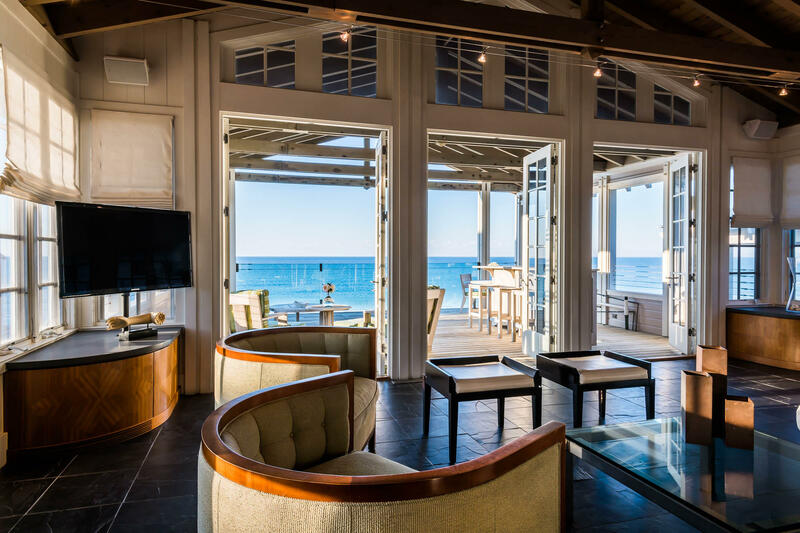 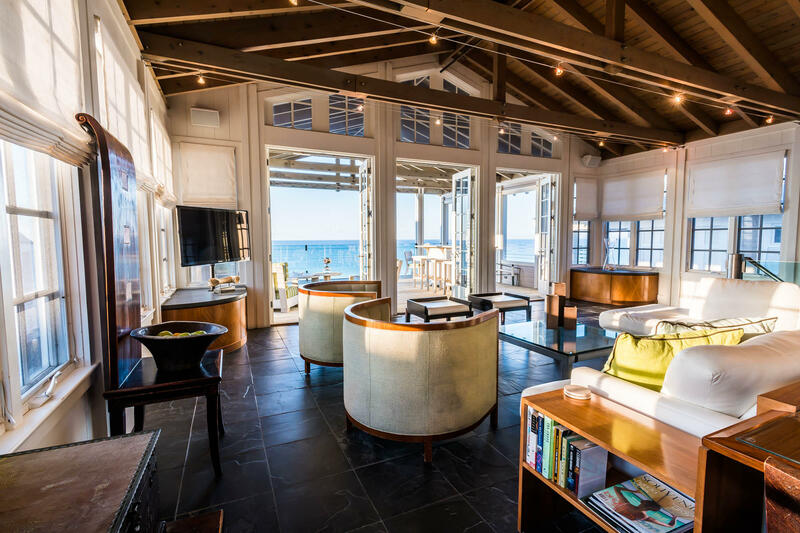 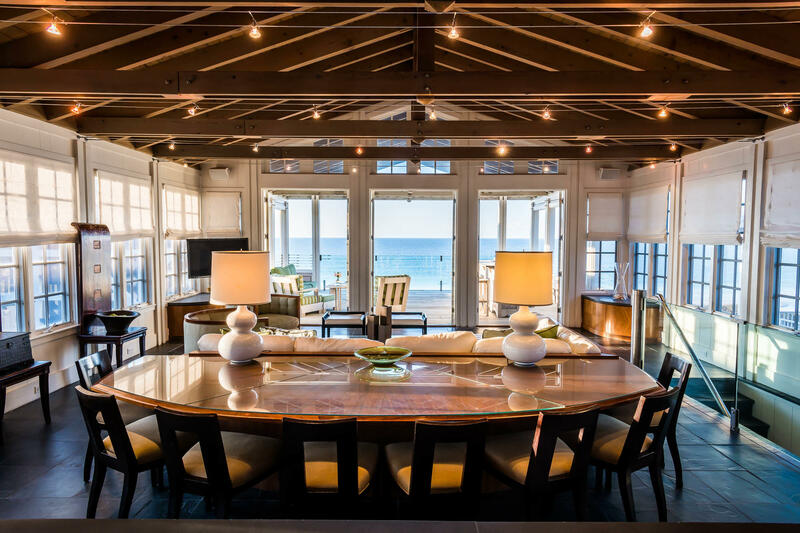 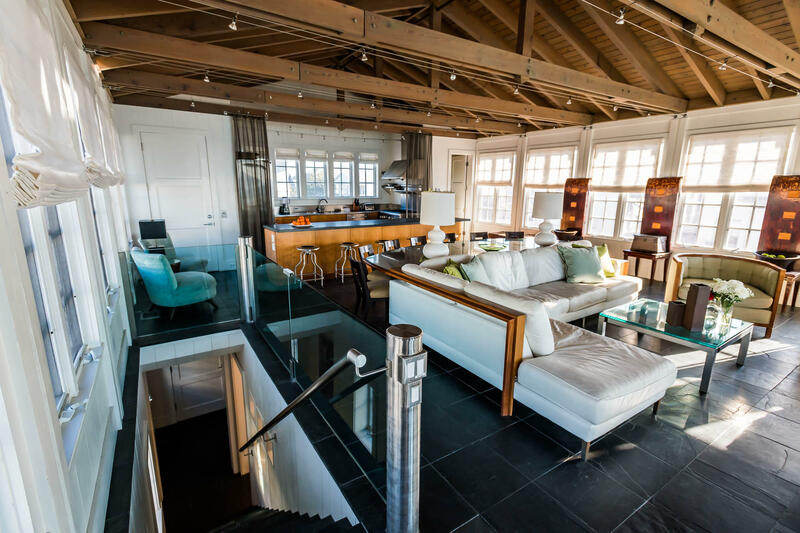 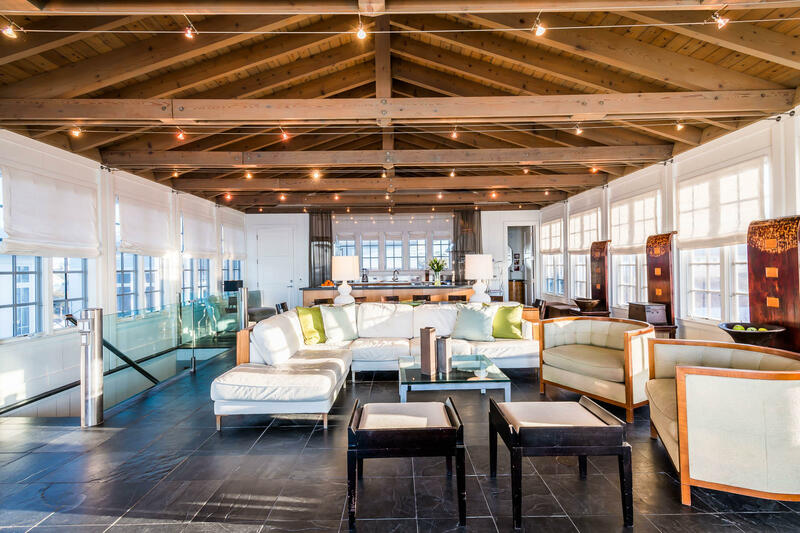 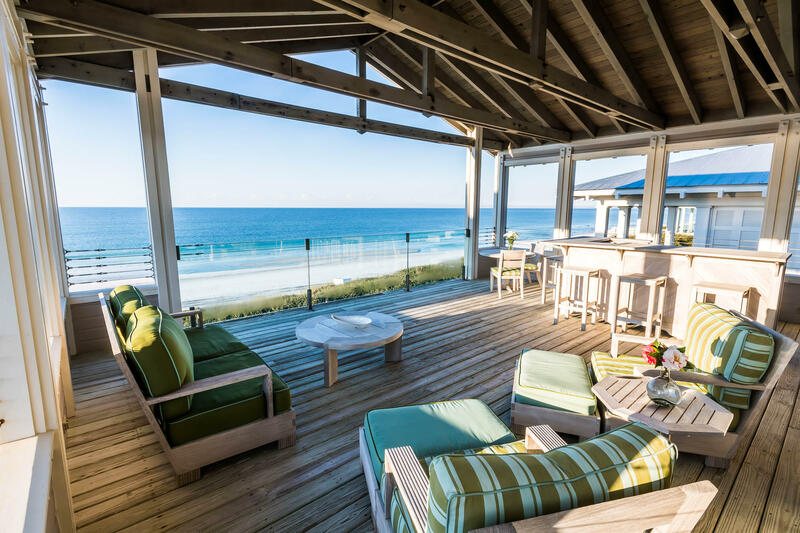 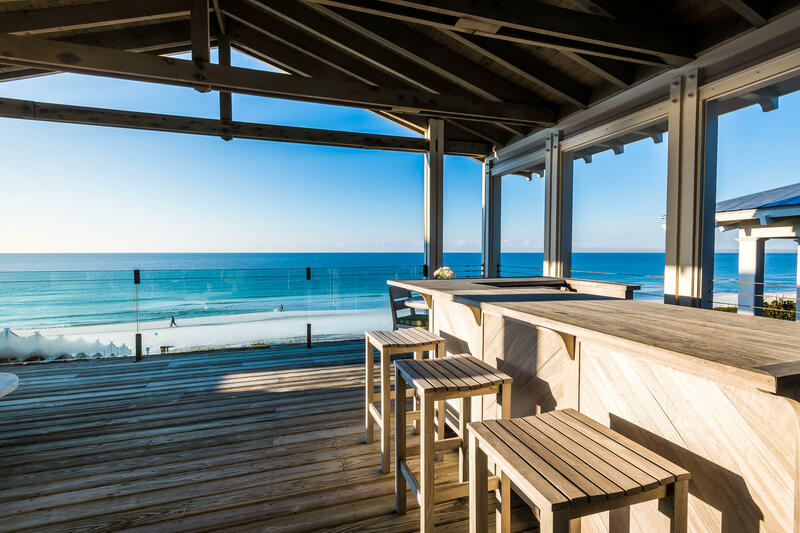 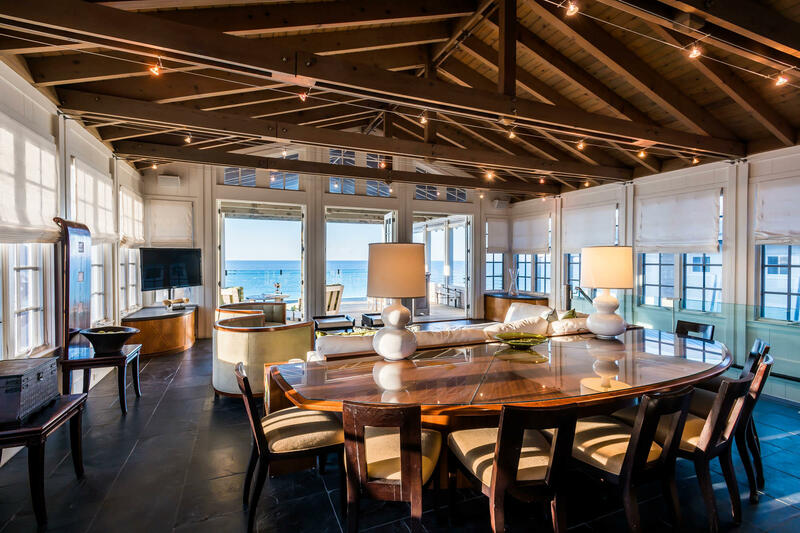 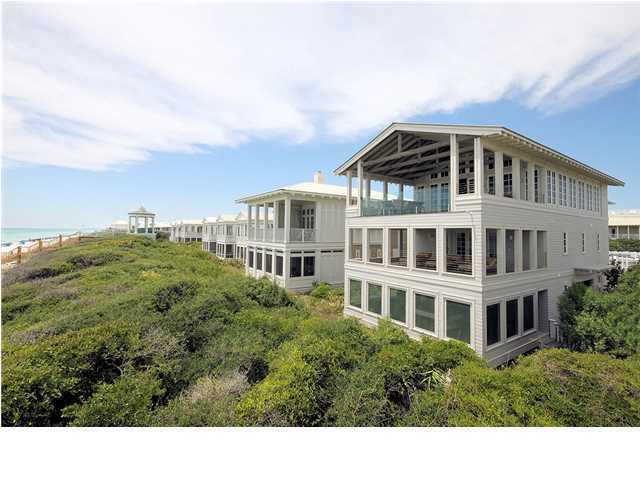 This beach home offers high-end luxury and has been appreciated by movie stars and prime ministers alike since 2003. 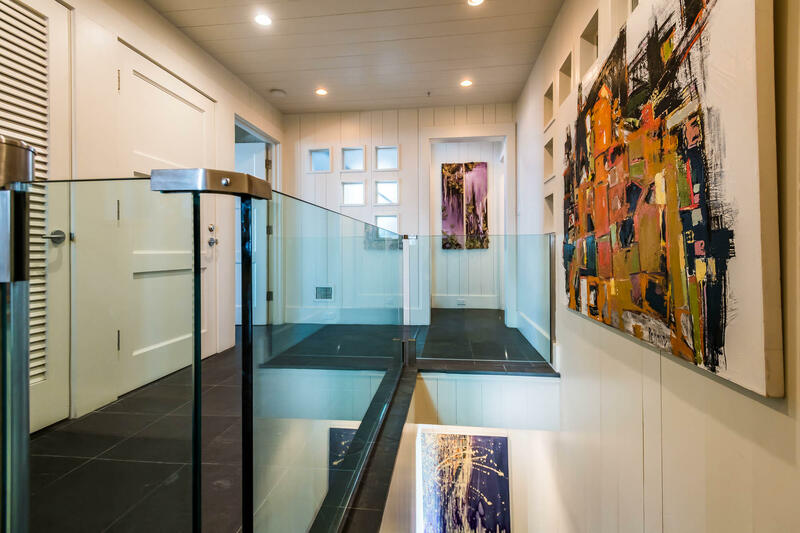 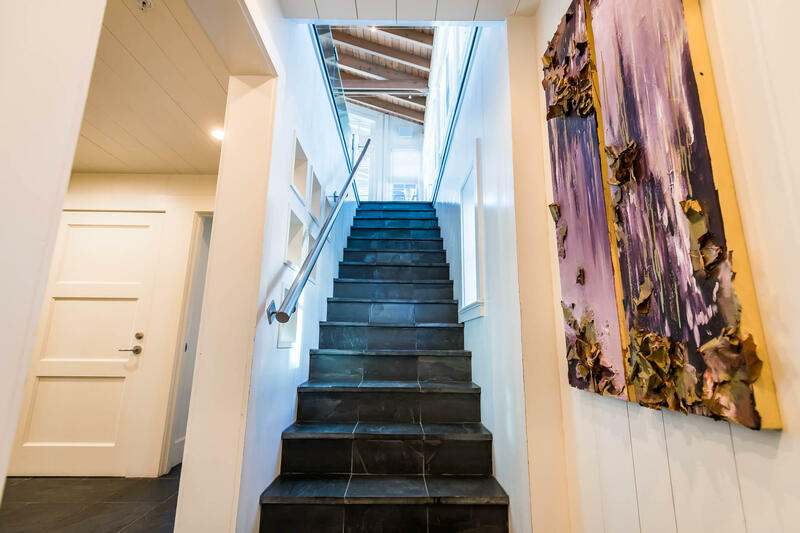 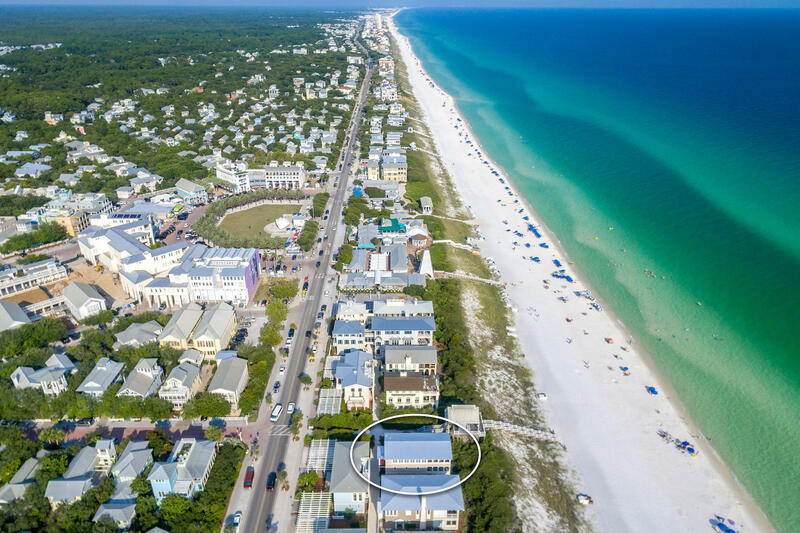 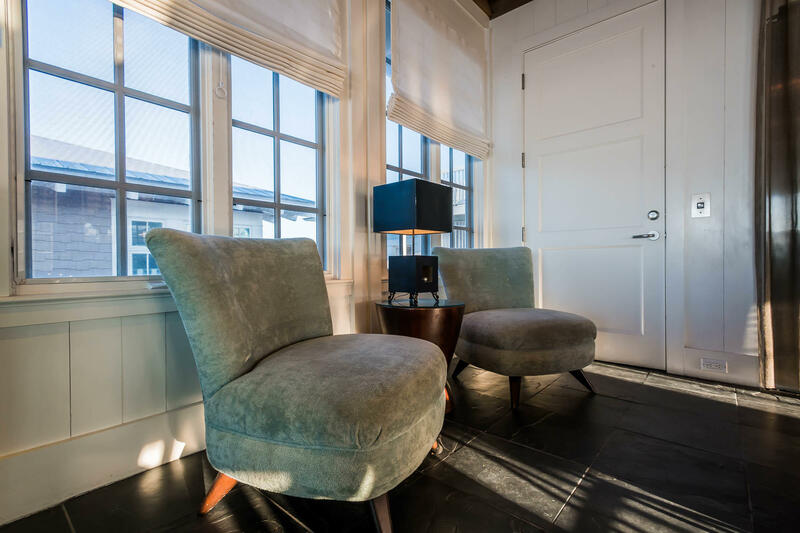 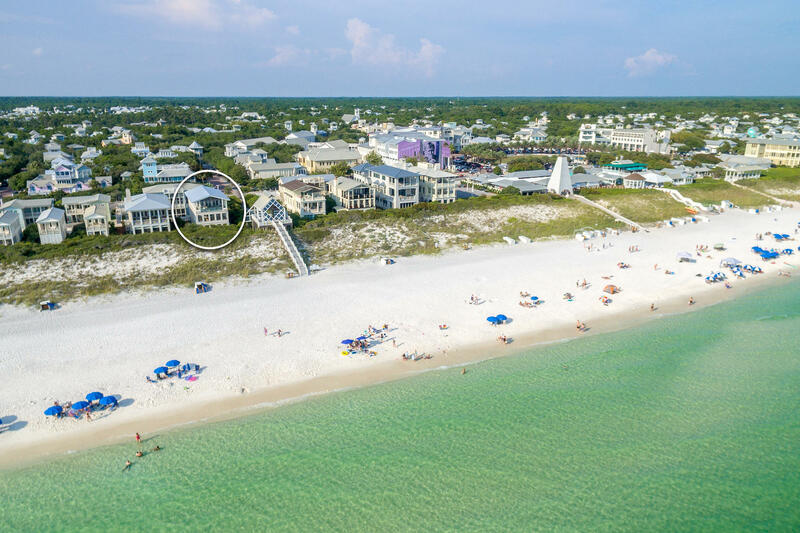 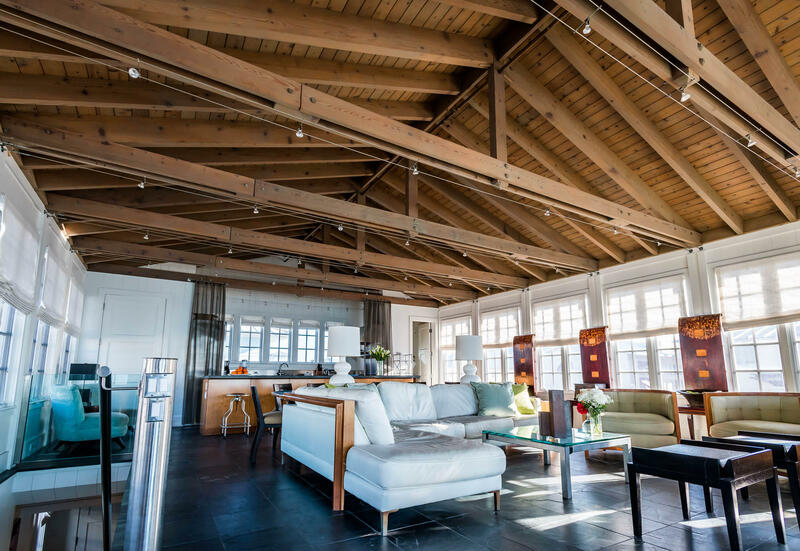 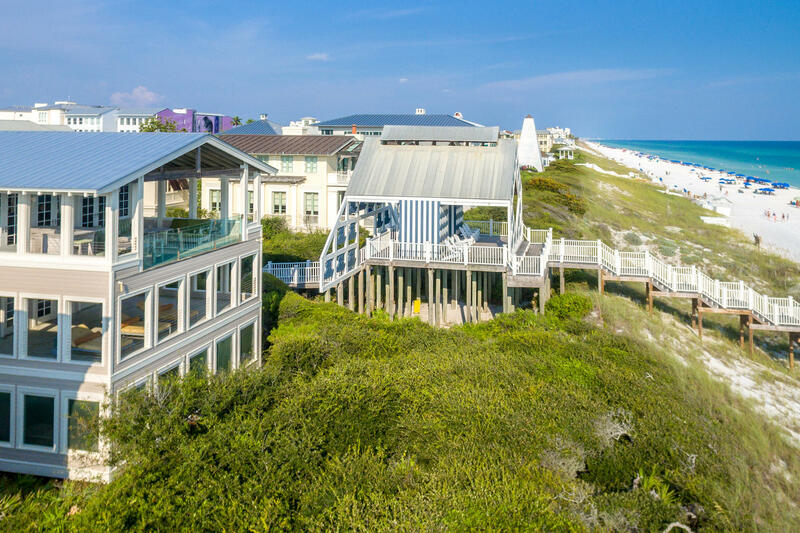 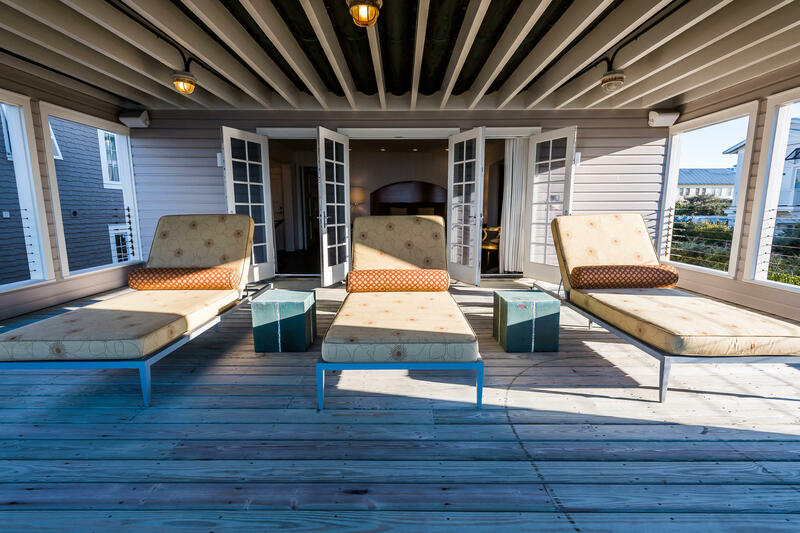 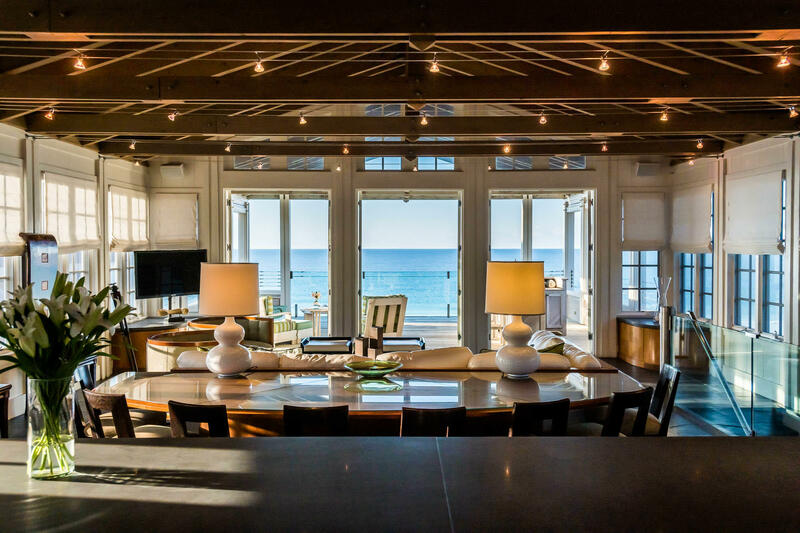 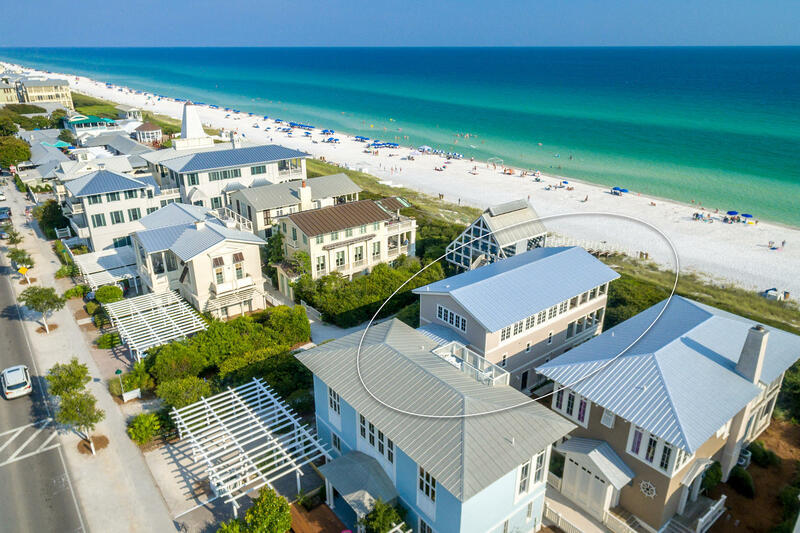 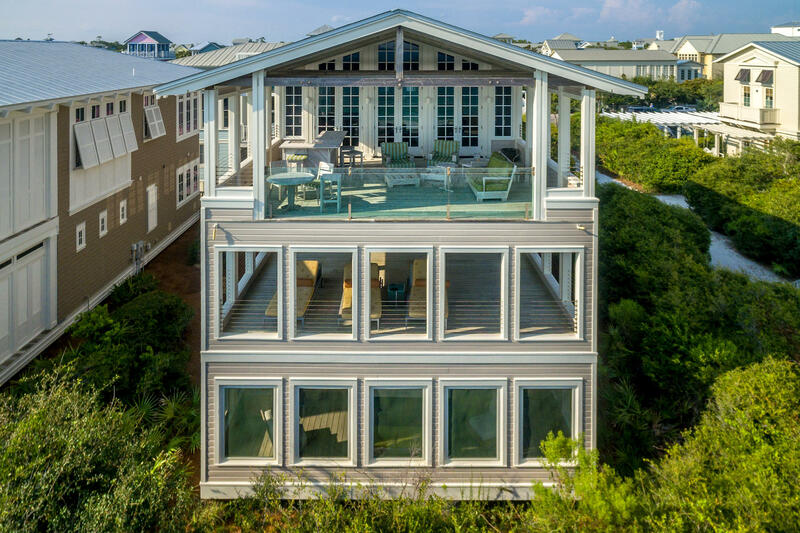 Its luxury amenities, include gourmet kitchen, three 20'x 26' gulf front porches, glassed terrace for unobstructed views of the gulf, painted wood plank walls and elevator all define this four bedroom, six and half baths, three story architecturally-acclaimed home. 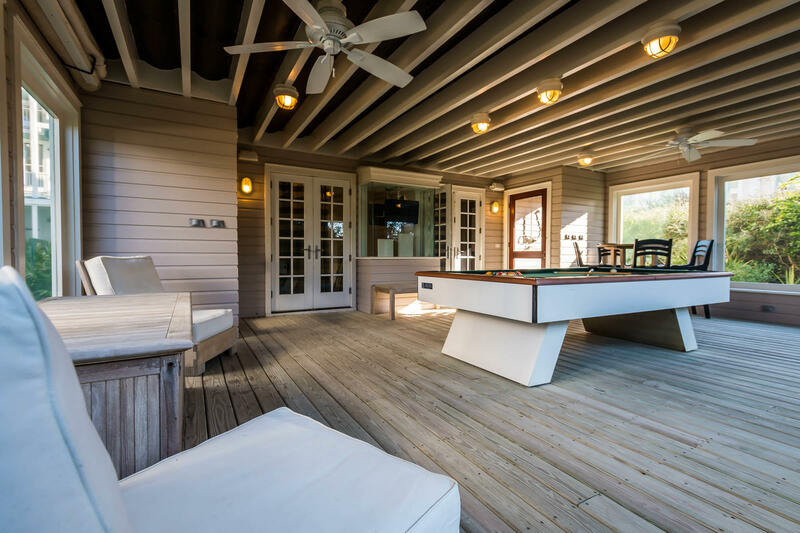 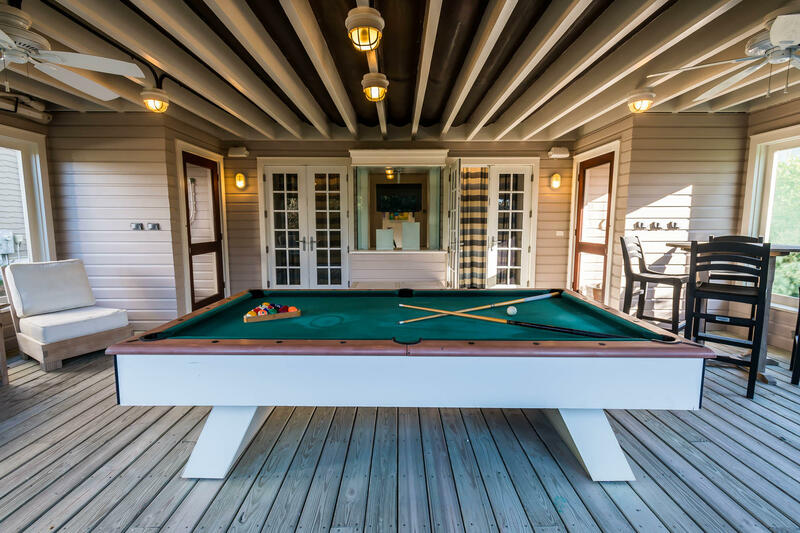 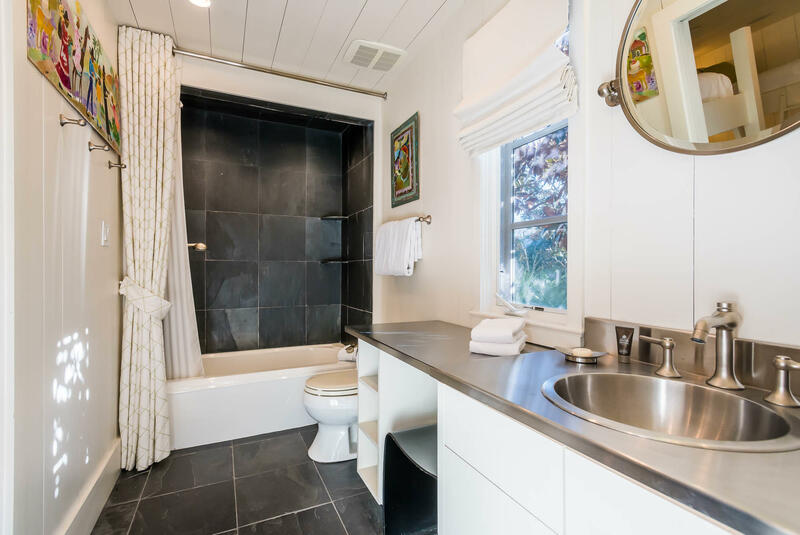 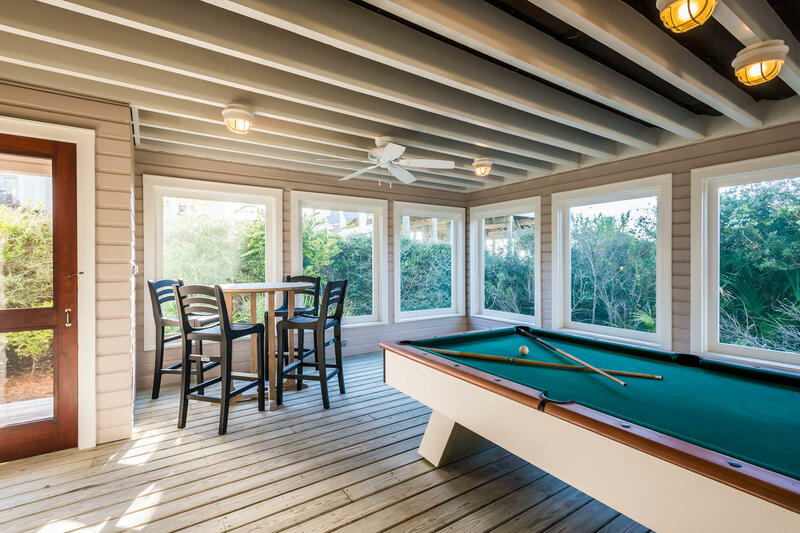 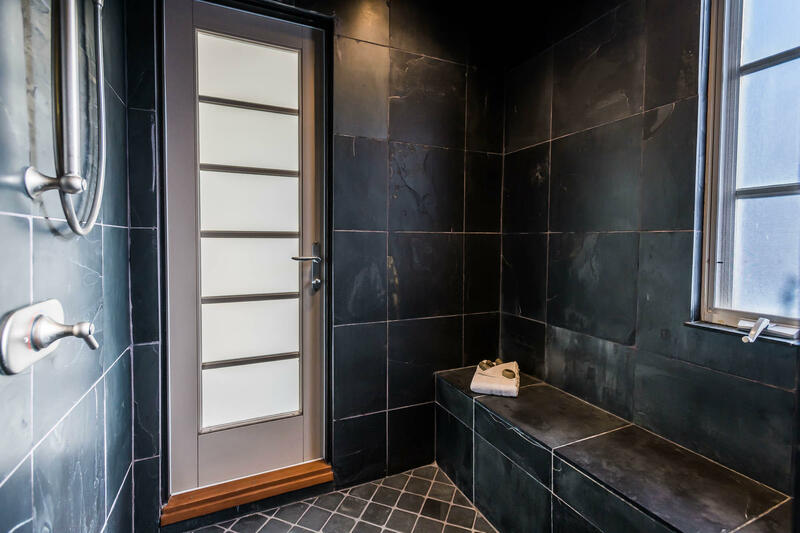 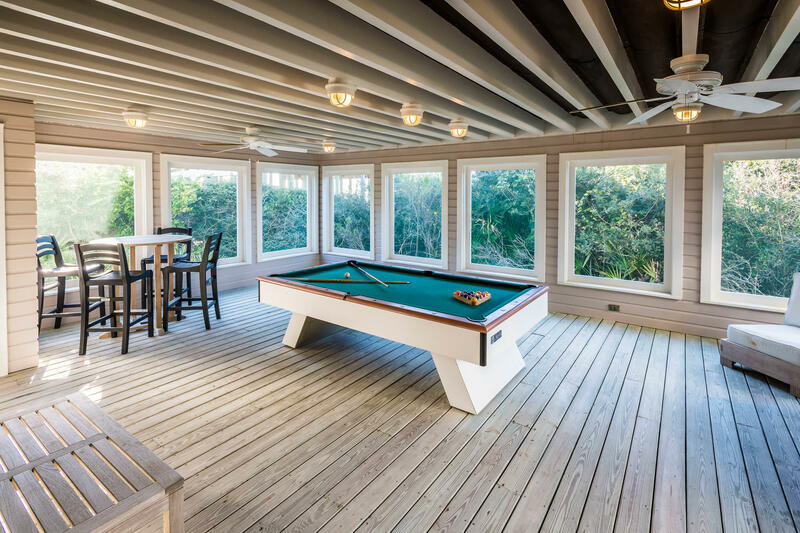 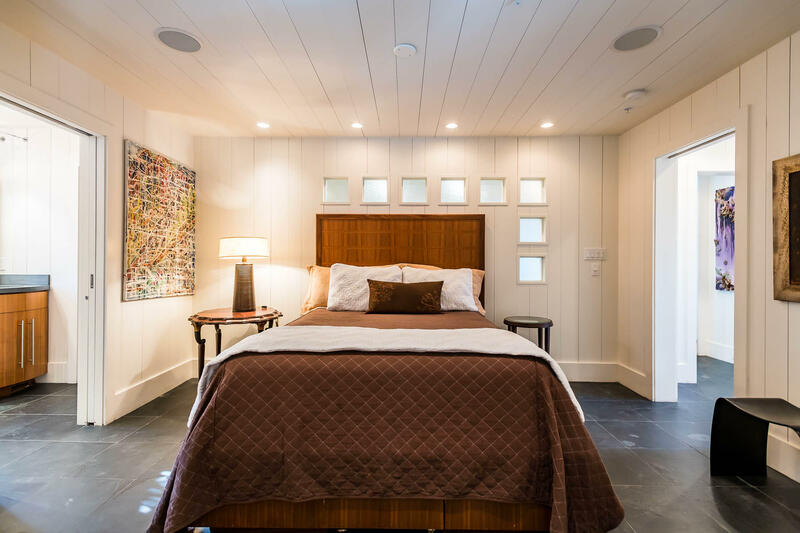 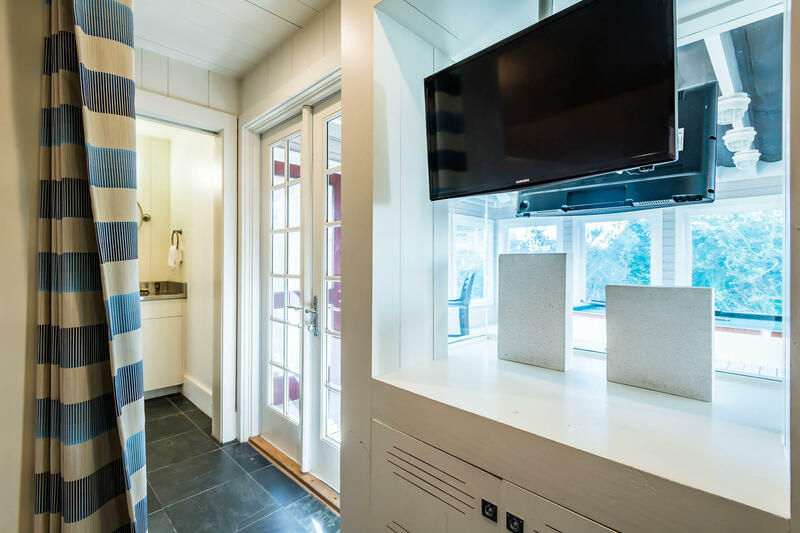 Top of the line finishes include slate floors, stainless steel counter tops, custom-built dining table and an all weather pool table, gives one a glimpse into what sets this home apart from its neighbors. 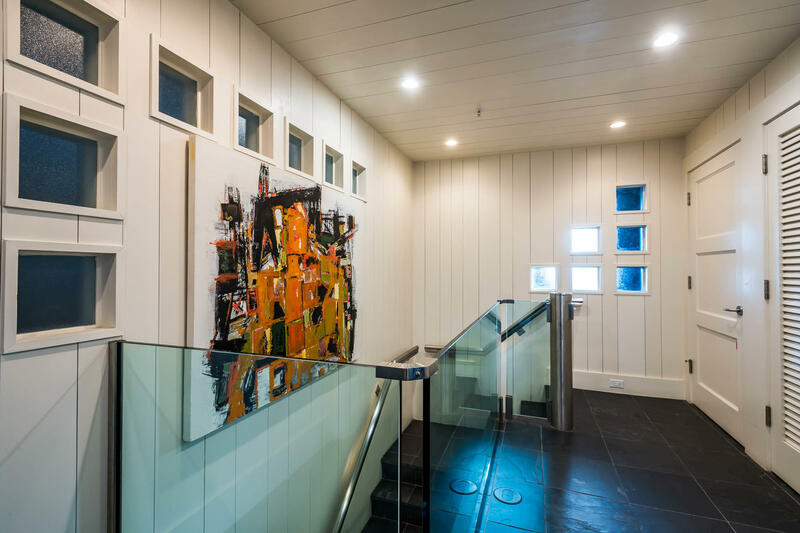 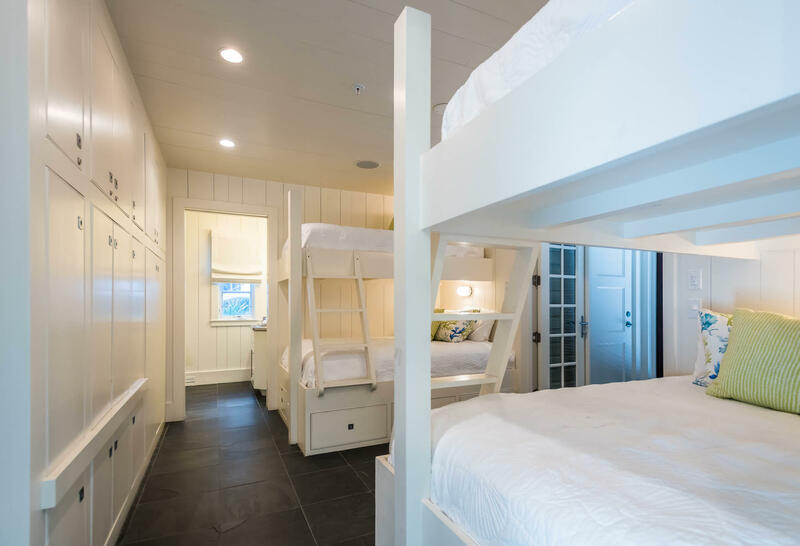 The entire first floor is designed for children of all ages. 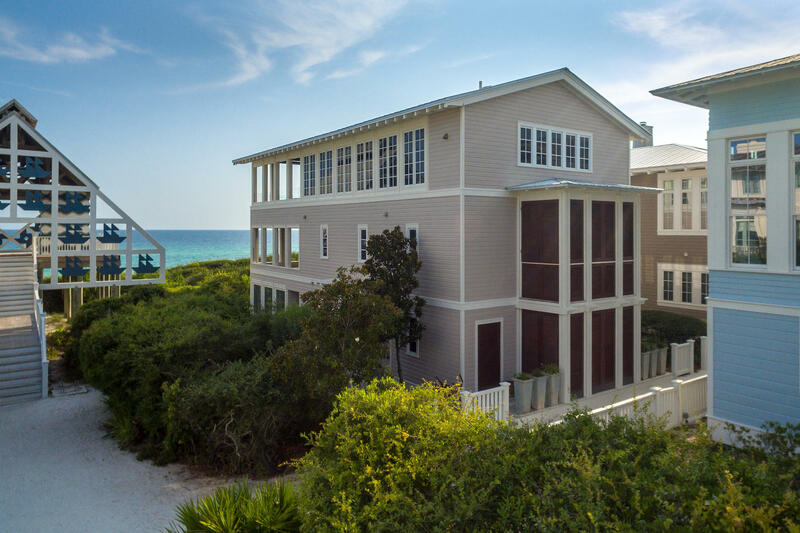 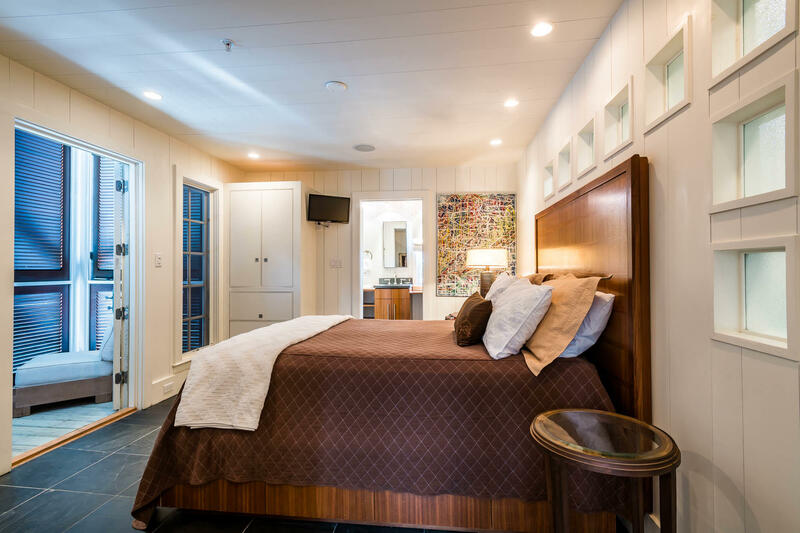 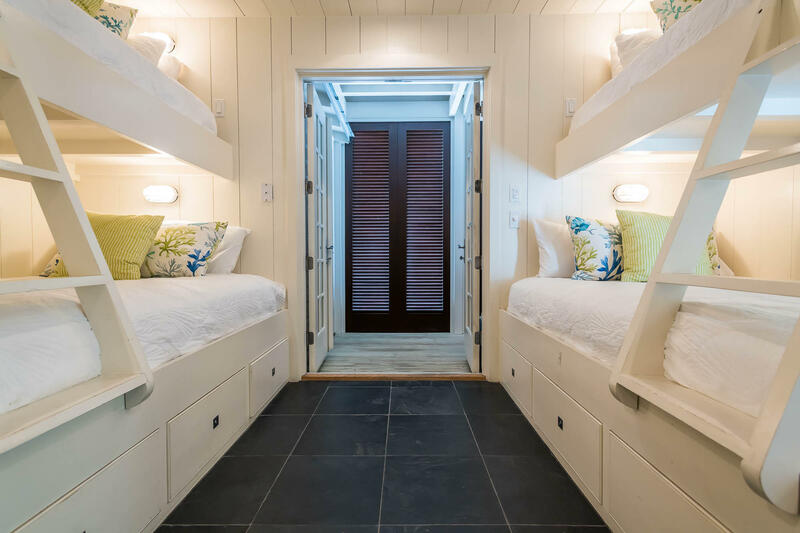 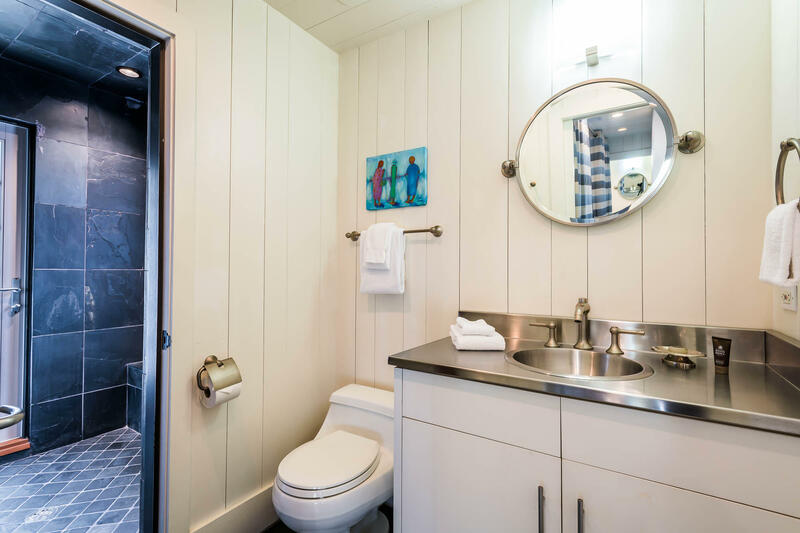 Two bedrooms with four custom built bunks sleeps eight, four baths, screened porch, all weather pool table and laundry room. 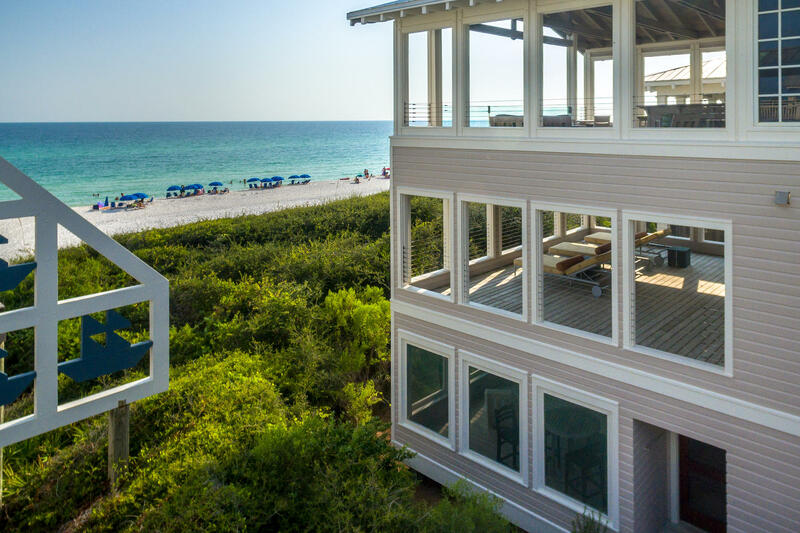 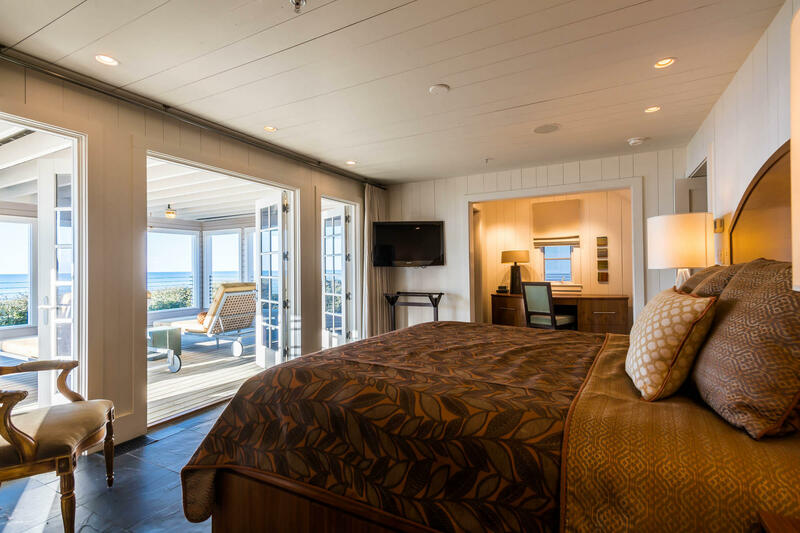 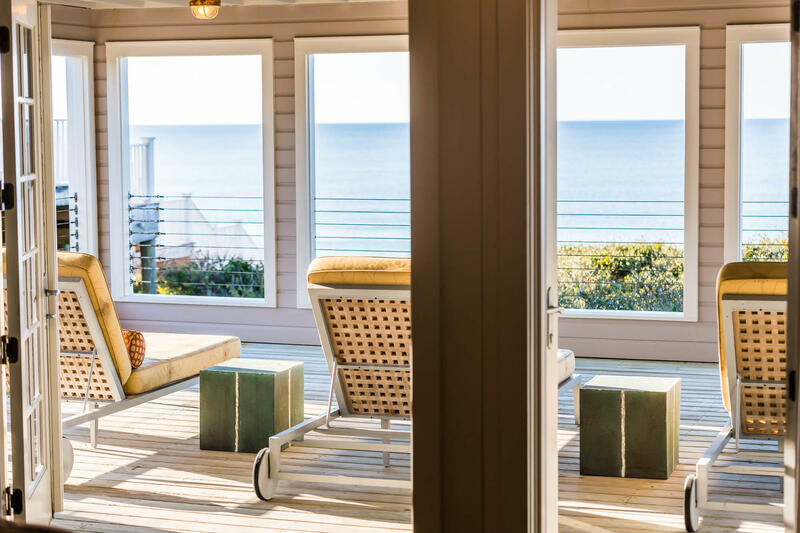 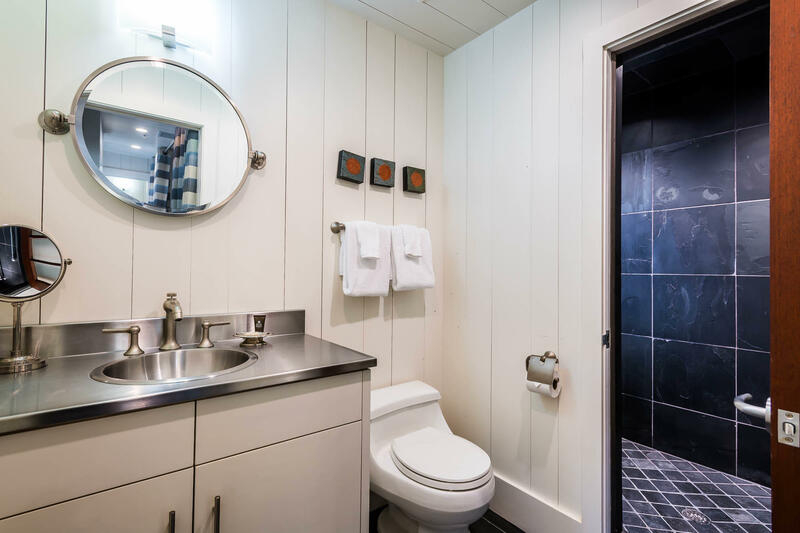 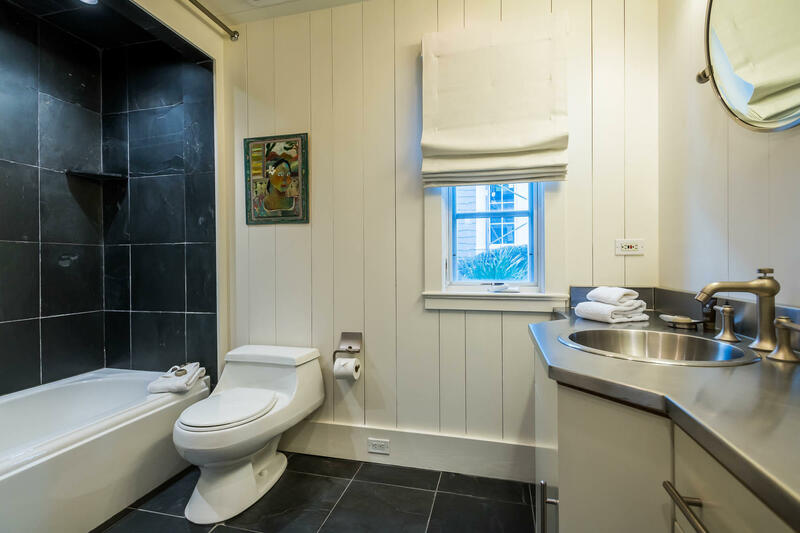 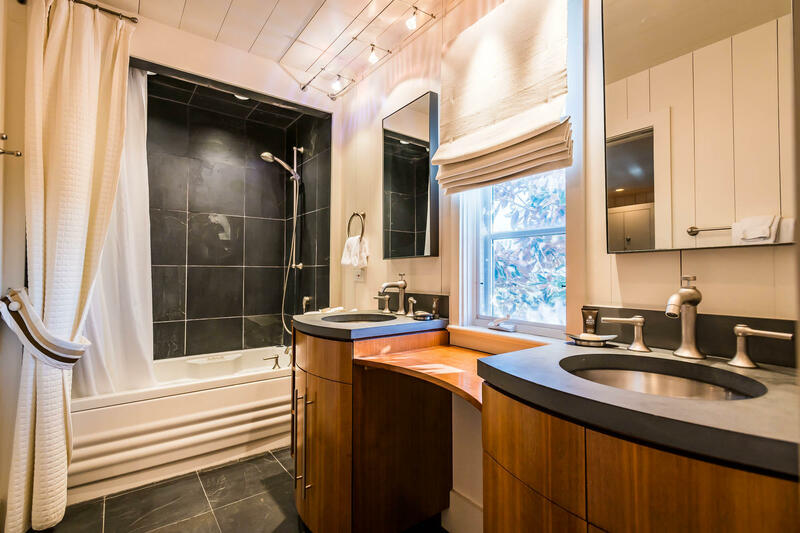 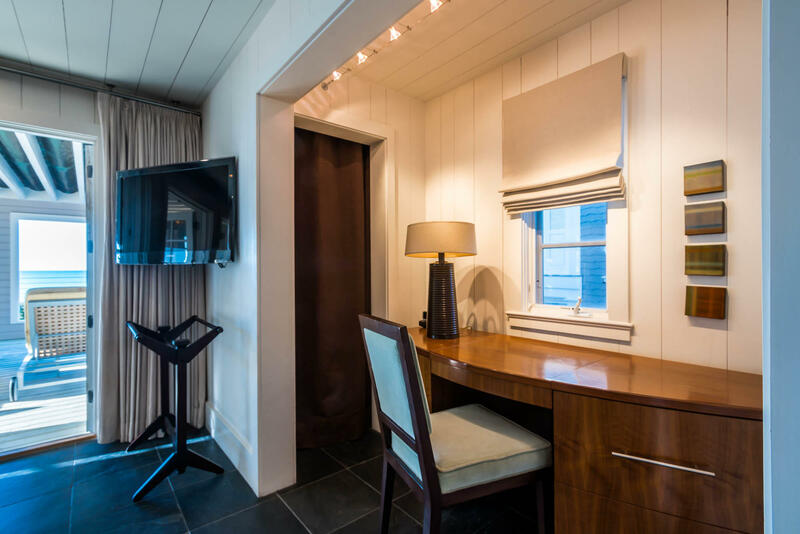 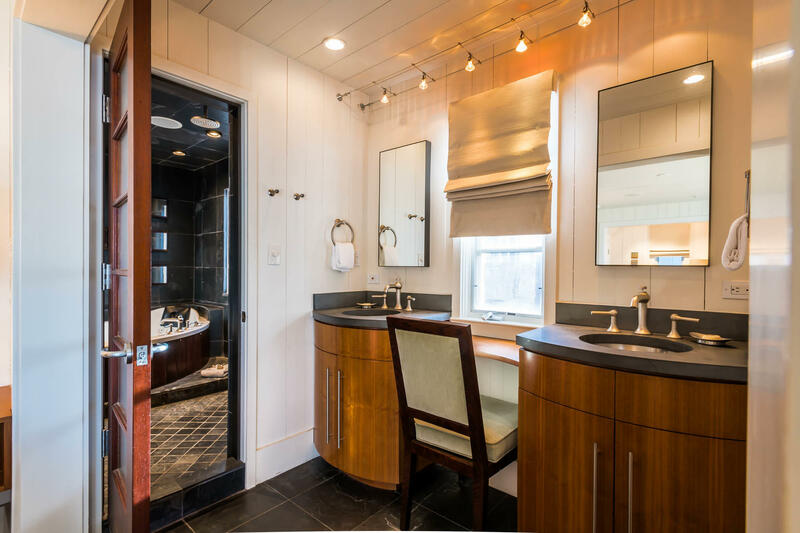 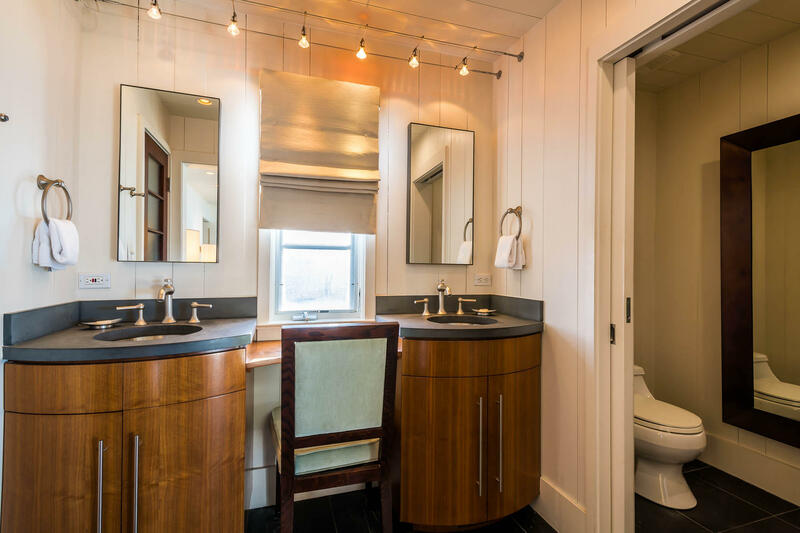 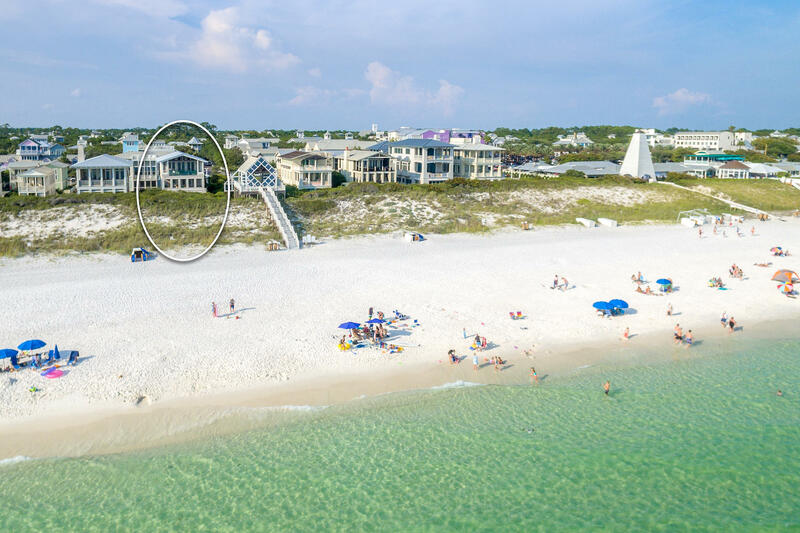 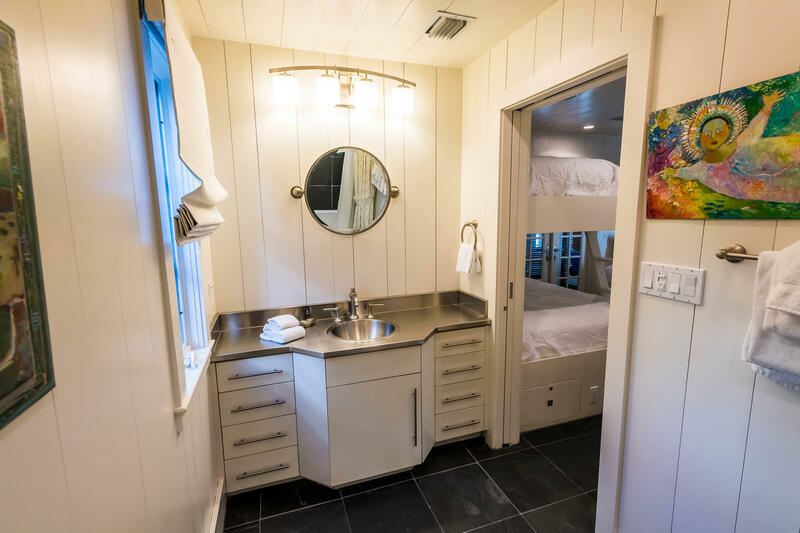 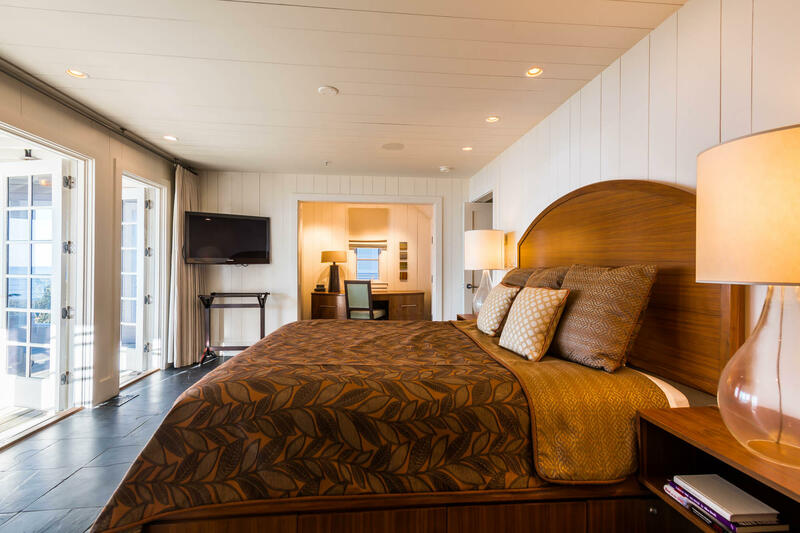 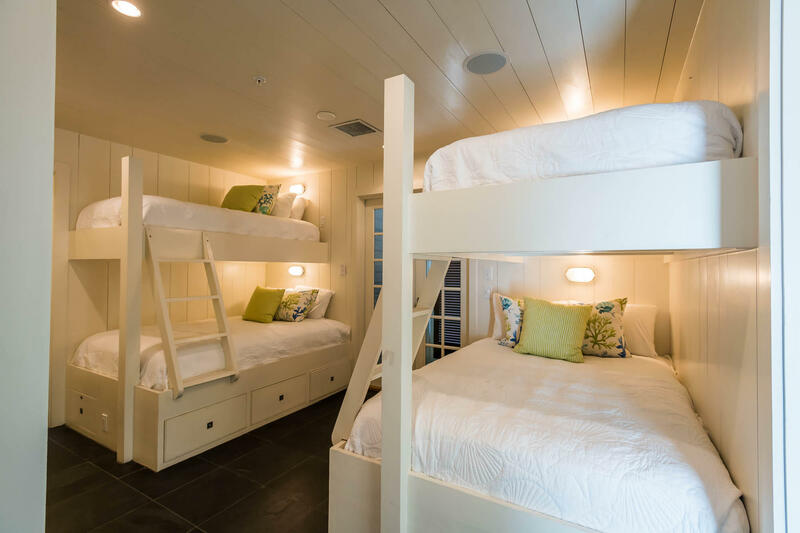 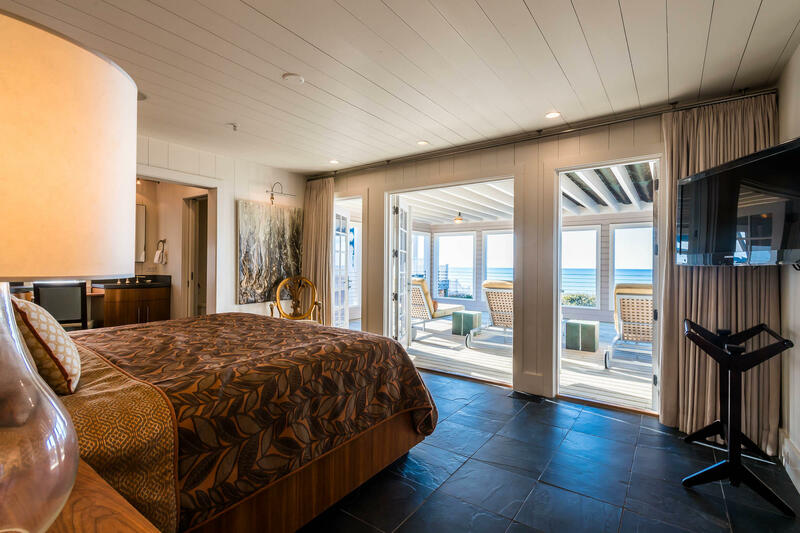 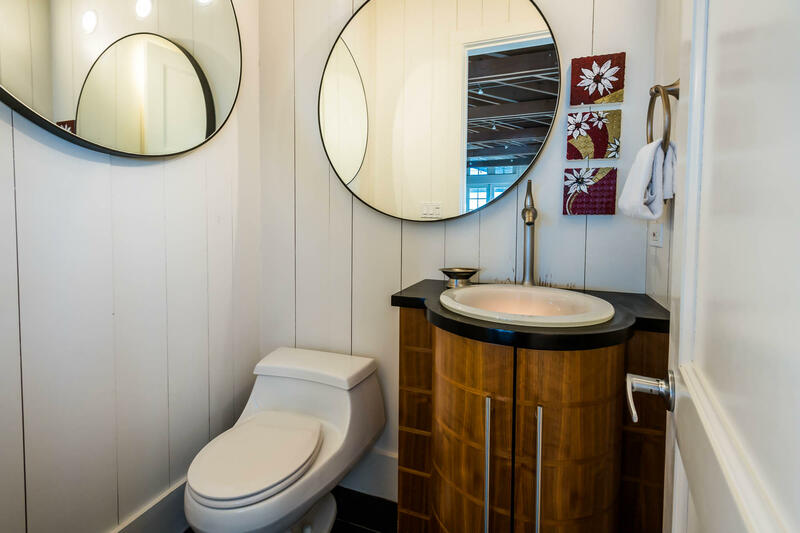 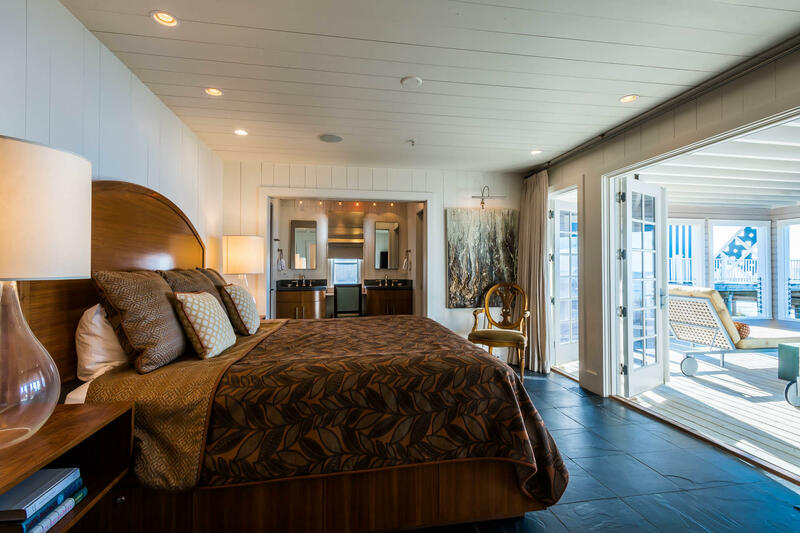 The second floor includes two master suites with master baths featuring whirlpool tubs, private balcony, private 20 x 26 porch with gulf views. 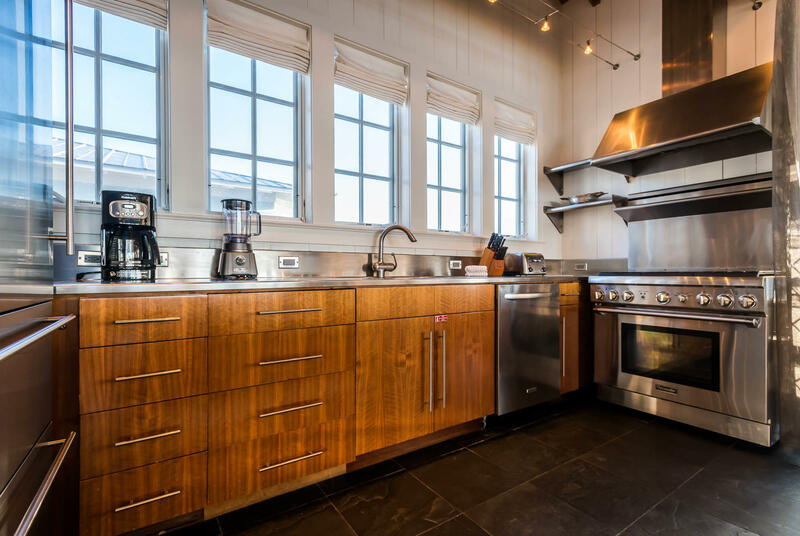 Third floor boasts a gourmet kitchen the family chef will fall in love with. 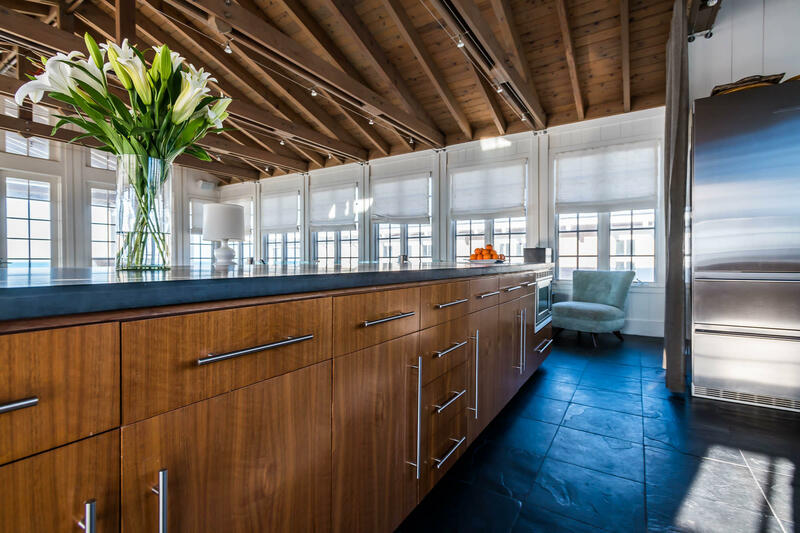 The entire family can take cooking lessons using family recipes to pass down to generations to come. 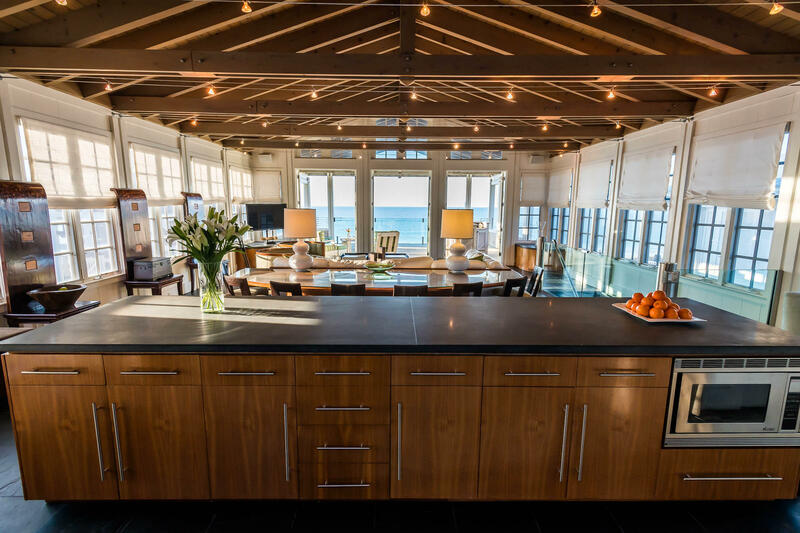 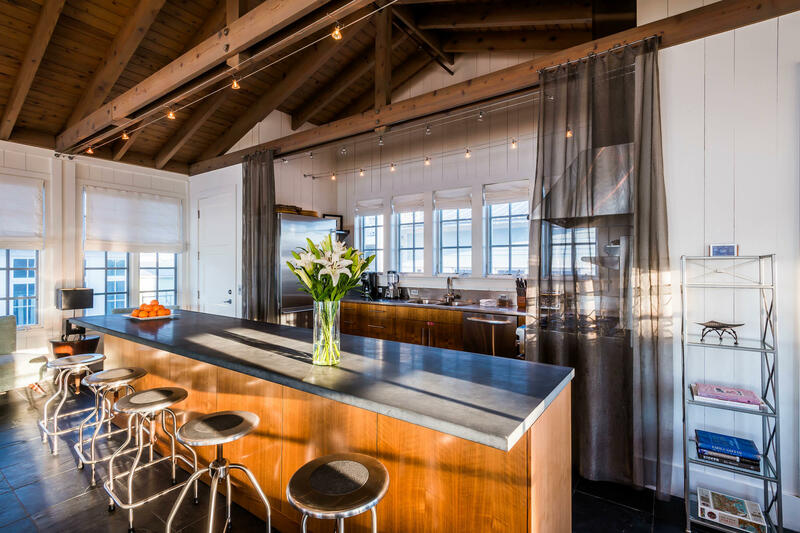 Island kitchen with seating for five or dine at the custom made table for eight. 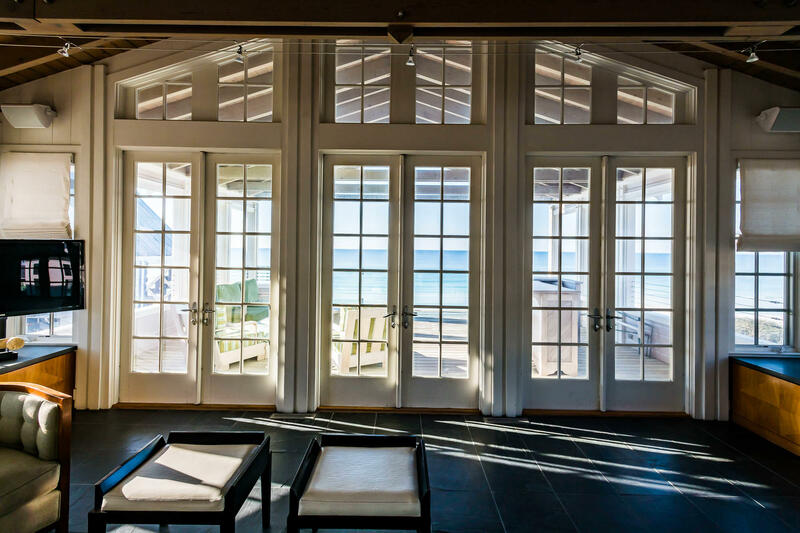 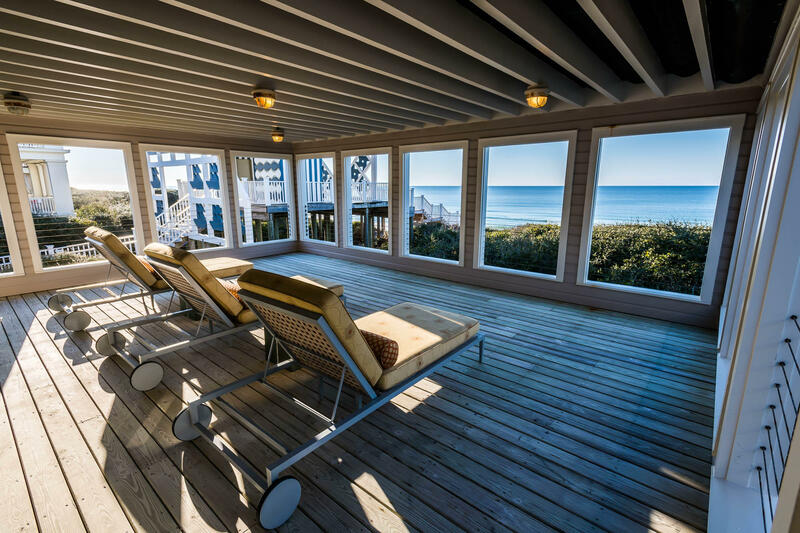 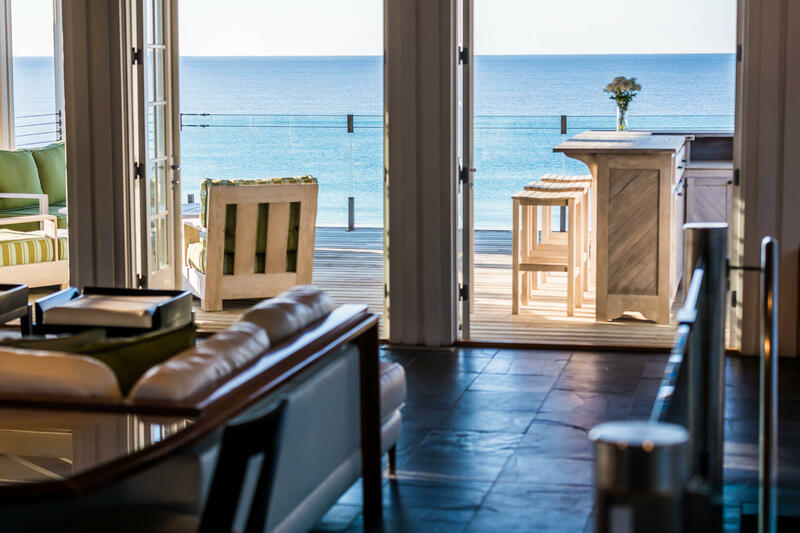 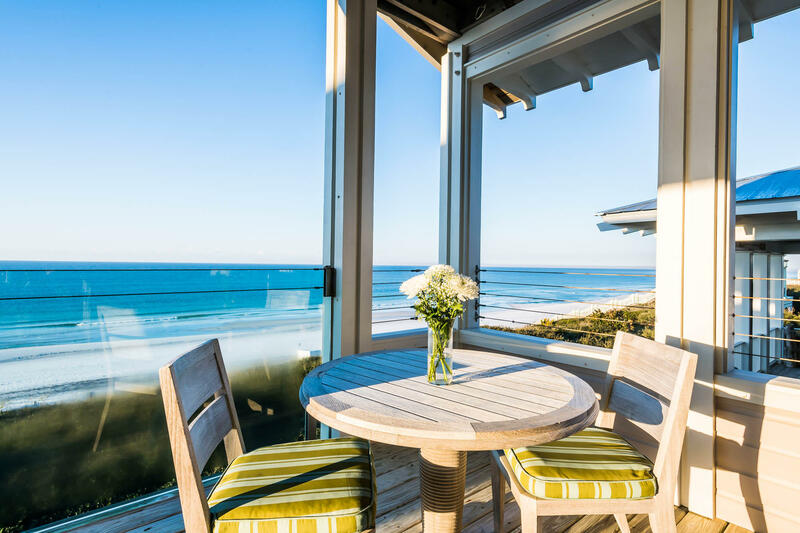 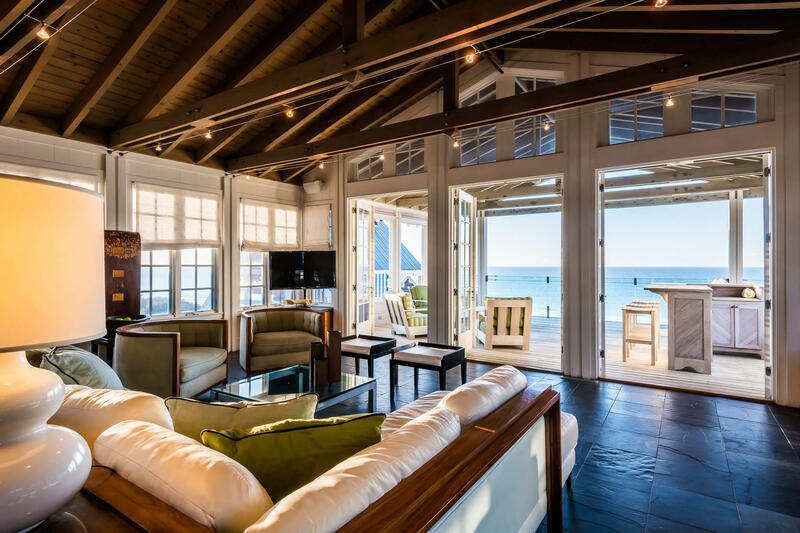 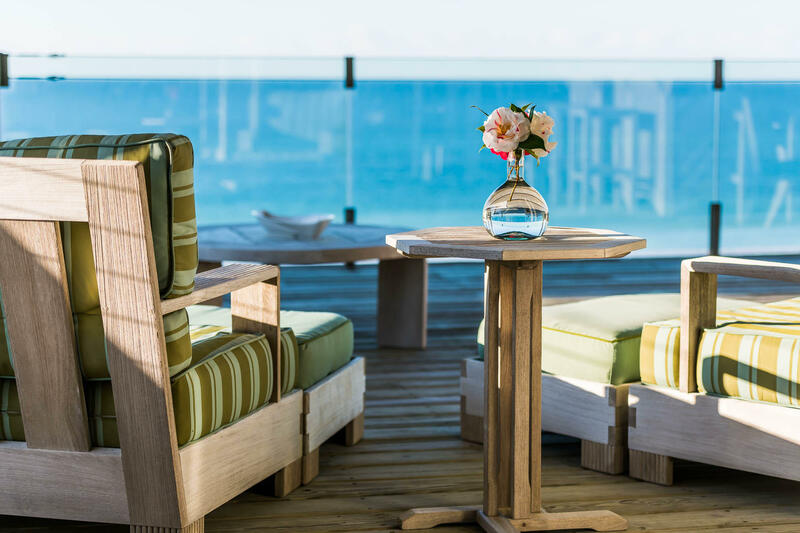 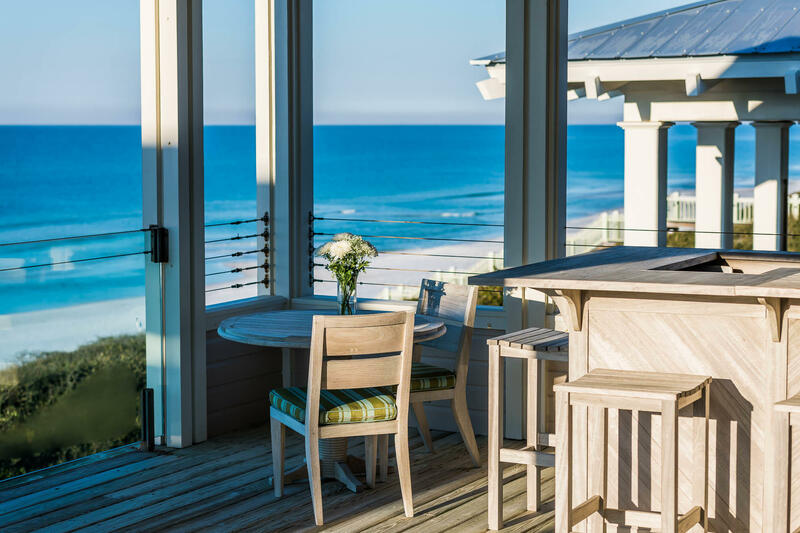 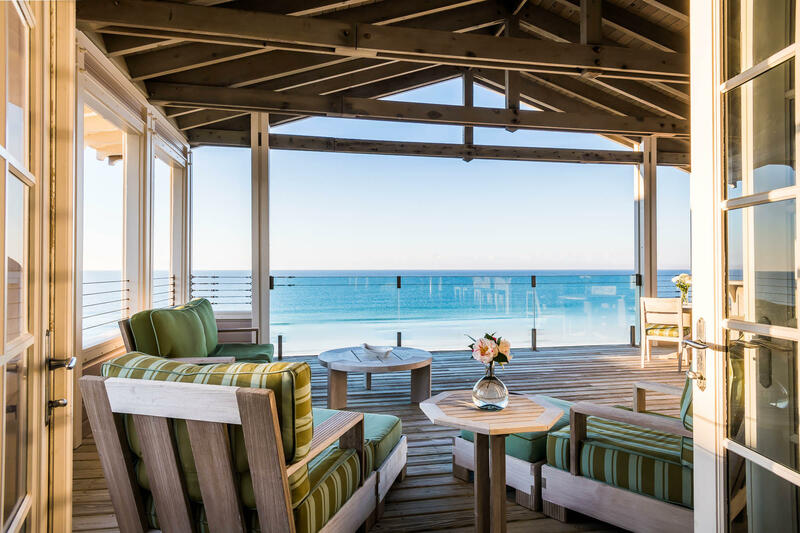 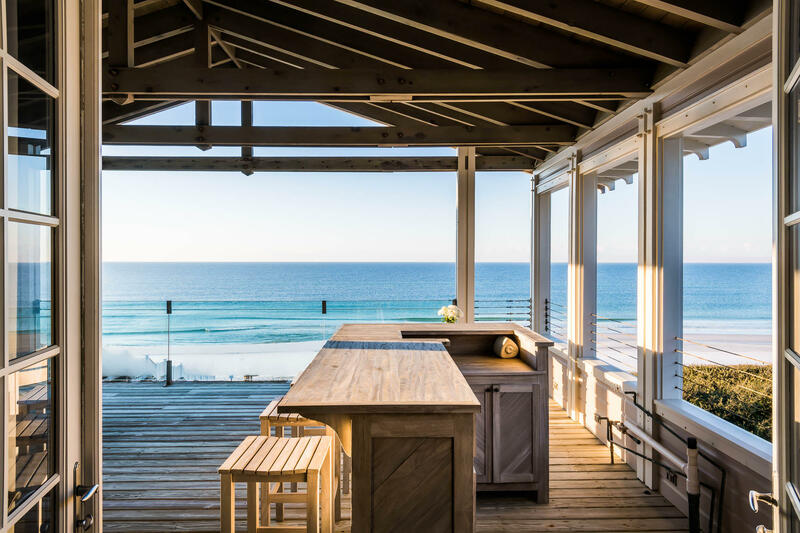 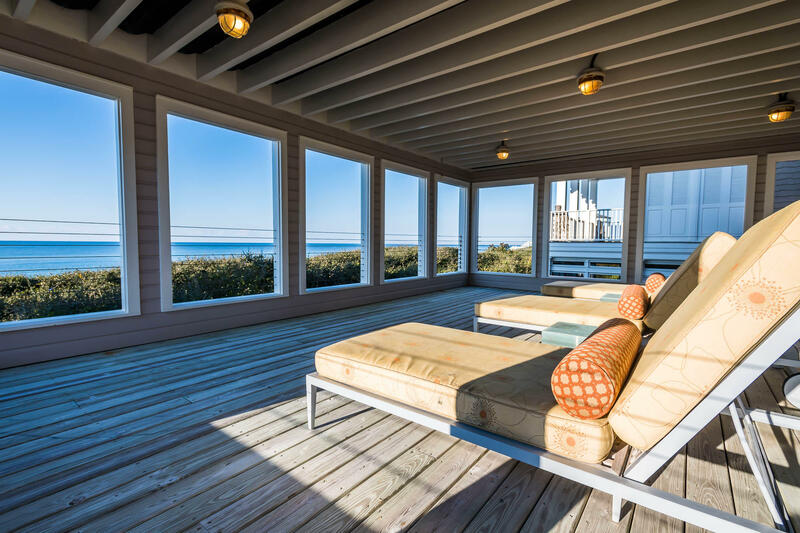 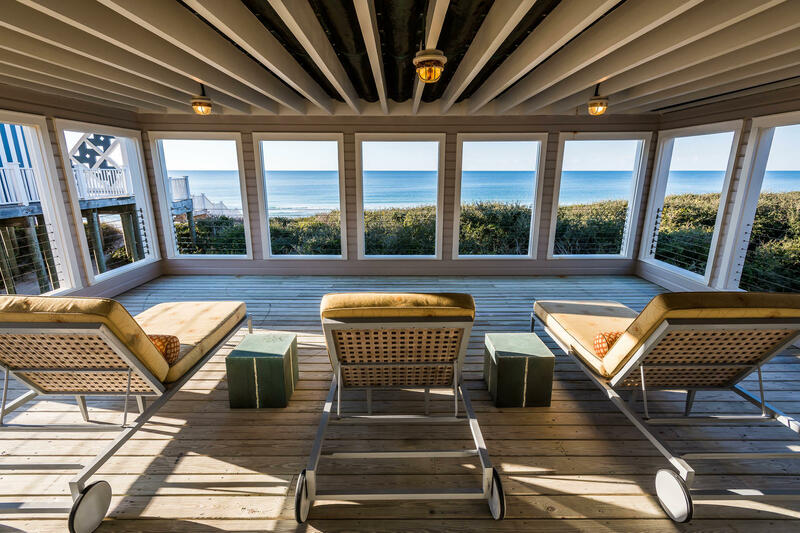 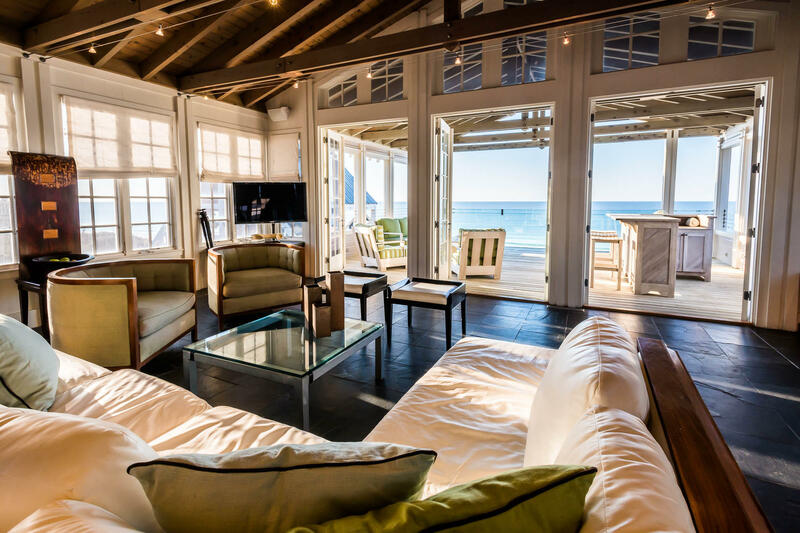 The finely appointed living room flows onto another 20 x 26 gulf front porch with full view glass panels offering sweeping unobstructed views of the glistening turquoise waters and sugar white sands. 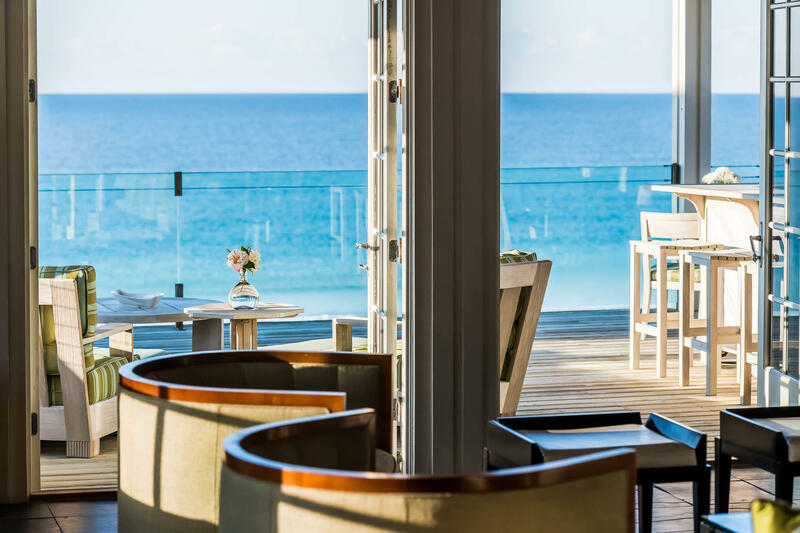 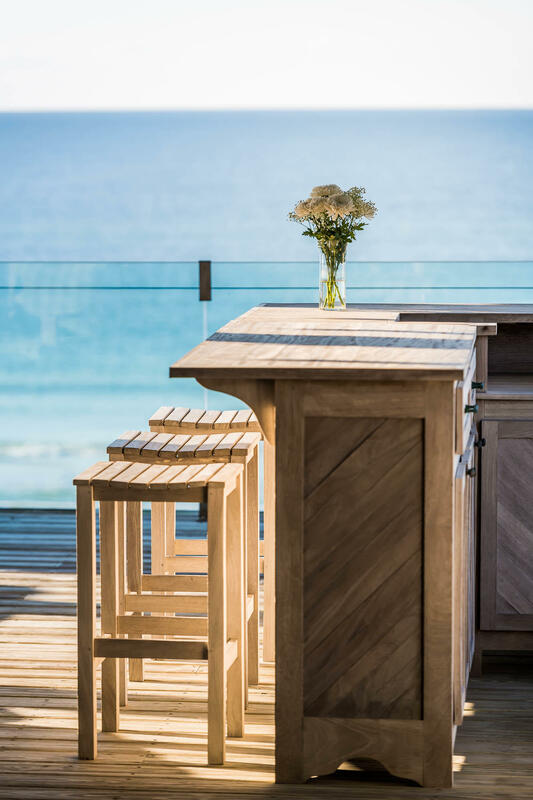 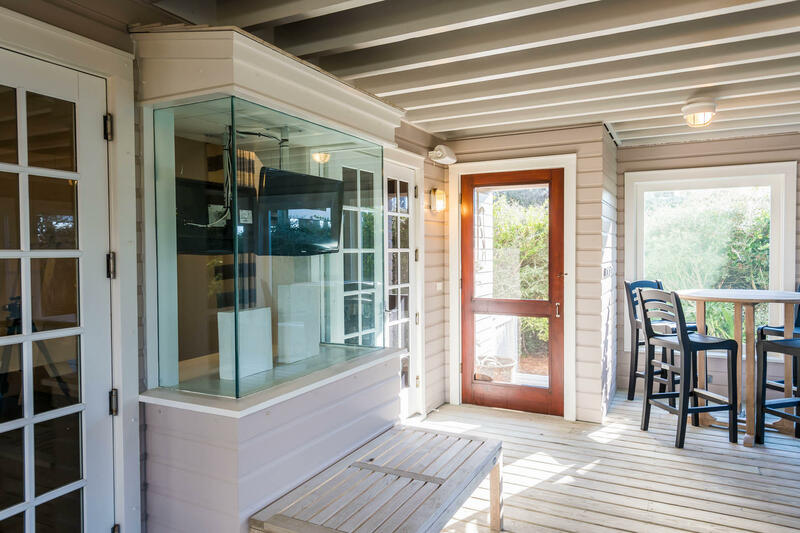 Prepare your favorite beverage at the outside bar. 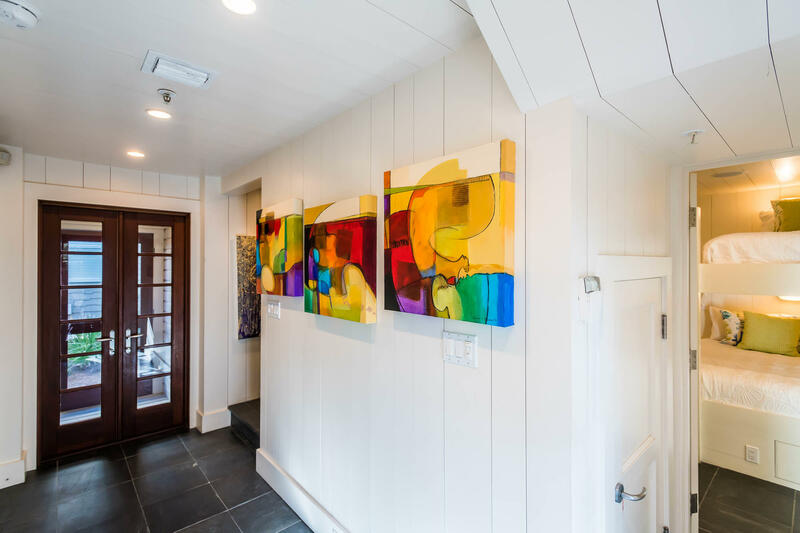 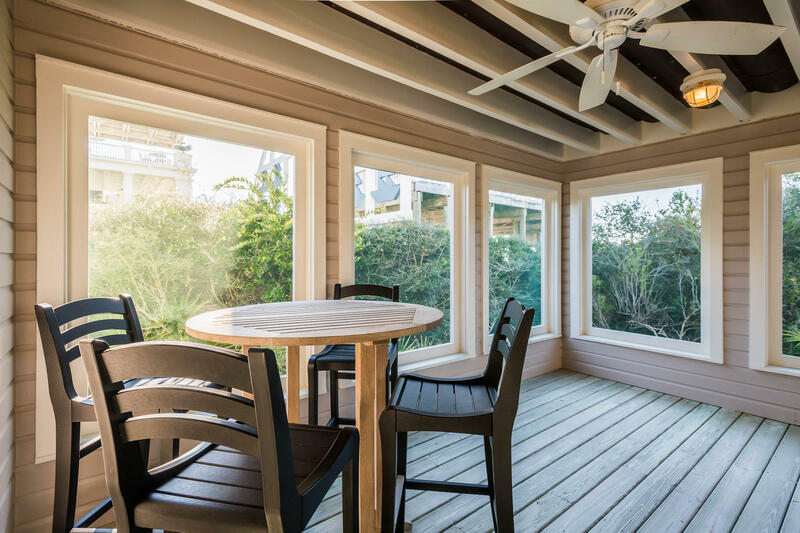 A security system, three AC units and hurricane shutters are all mindful components to this home. 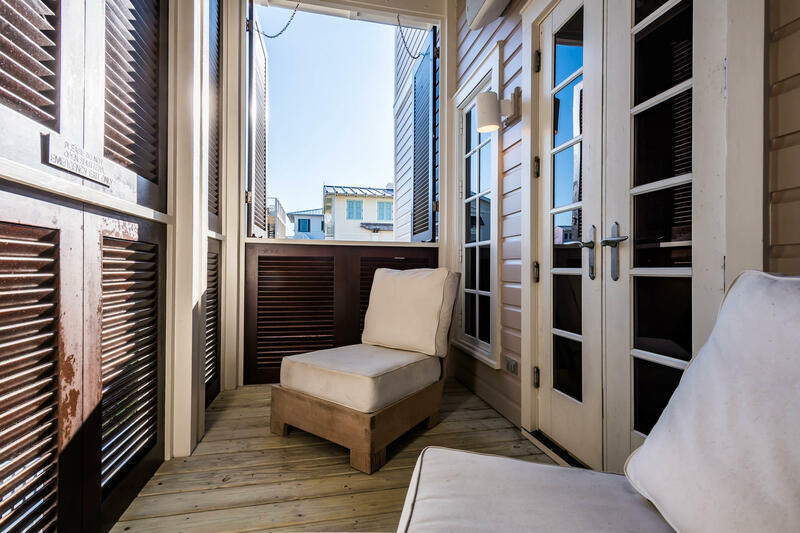 +-1800 square feet porches.